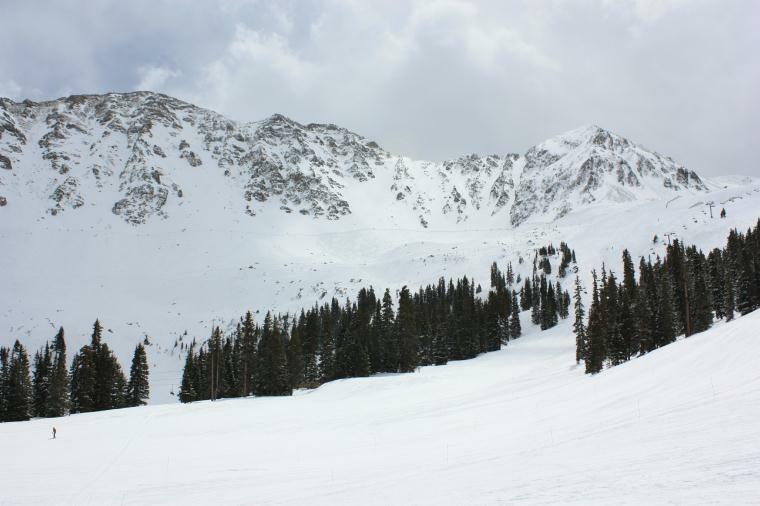 A Basin is among the closest ski areas to Denver and one of the most diverse. 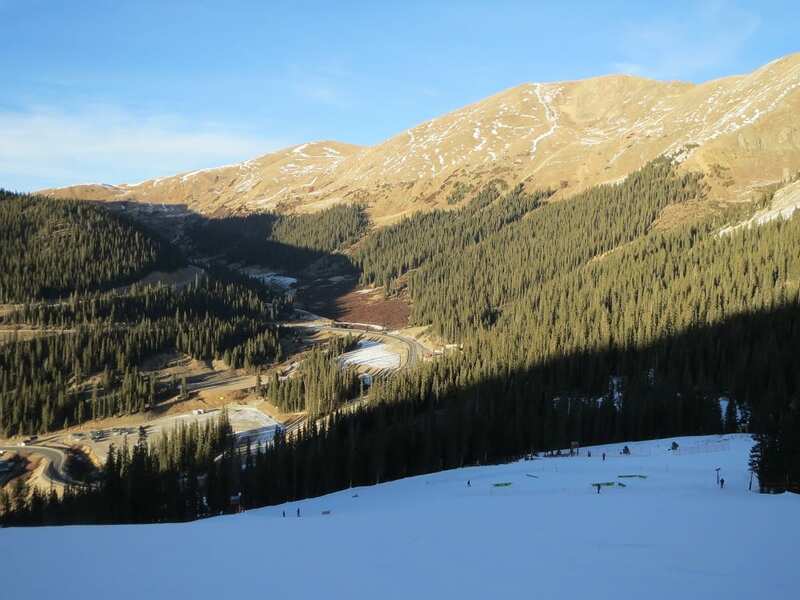 There are a good mix of groomers, moguls, steeps and bowl skiing. 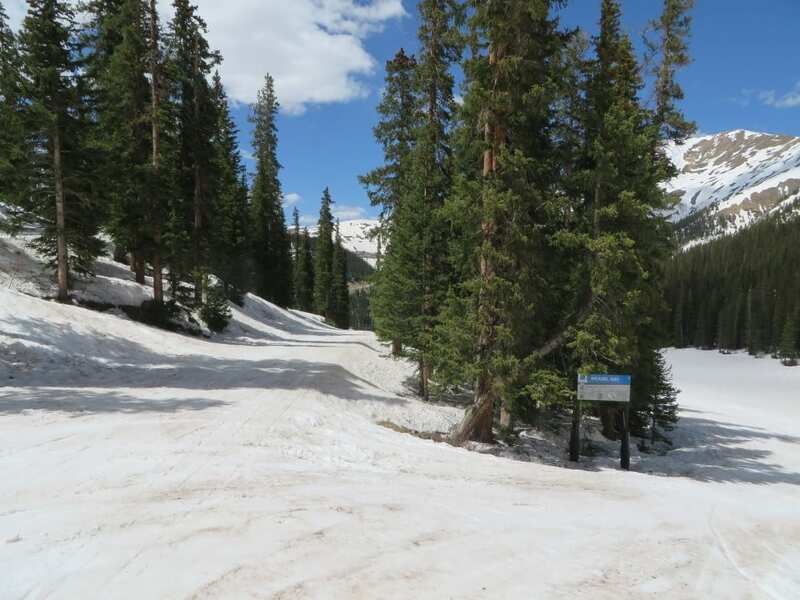 It’s smaller than neighboring resorts Keystone and Breckenridge, but it delivers a longer season and some of the most challenging terrain in the county. 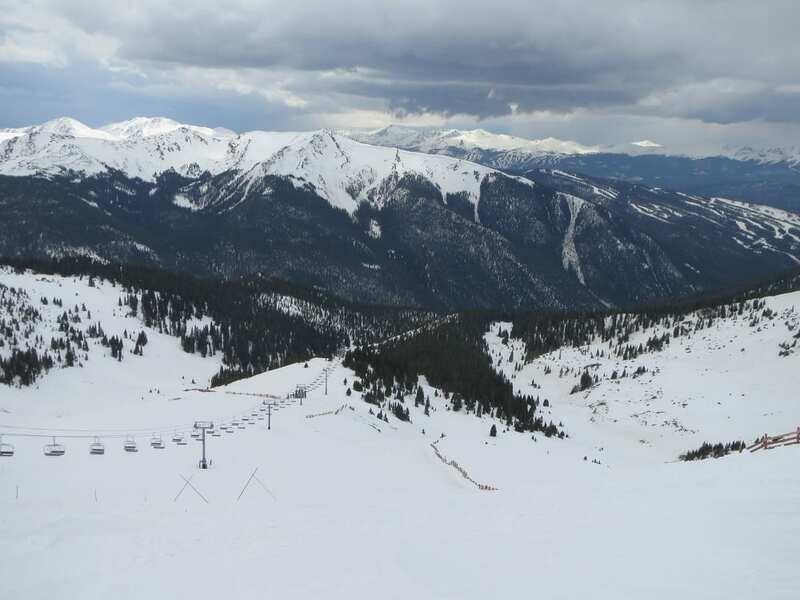 Early and late season, A Basin can’t be beat. 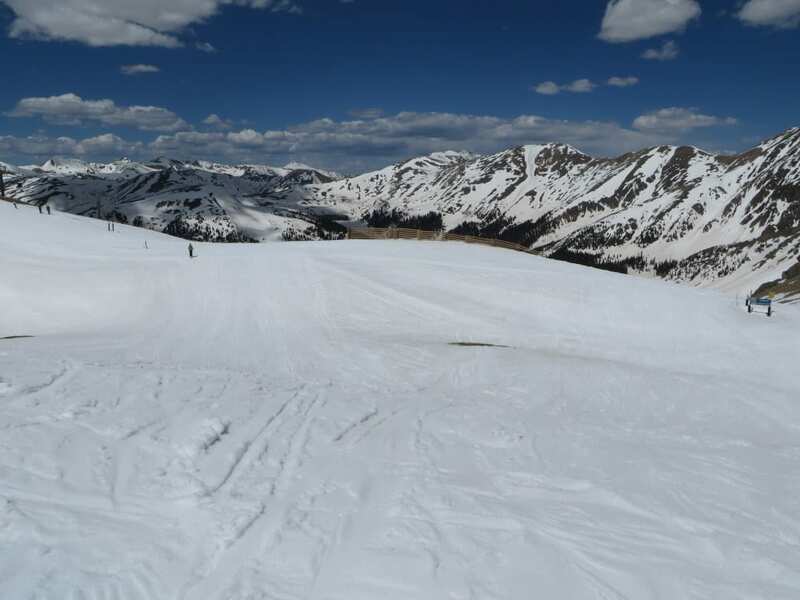 With a summit elevation of 13,050 feet, A Basin offers some of the highest skiable terrain in North America. 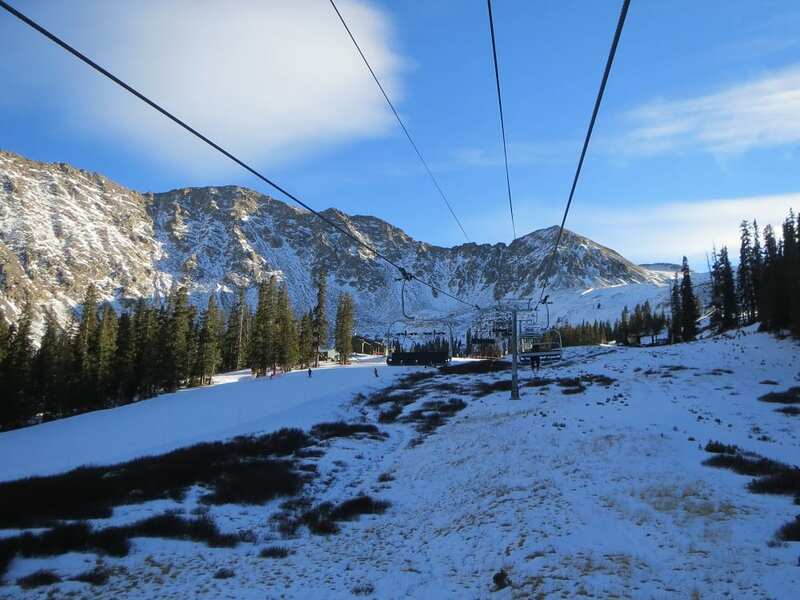 There’s more than one hundred different trails and numerous express lifts to access the mountain. 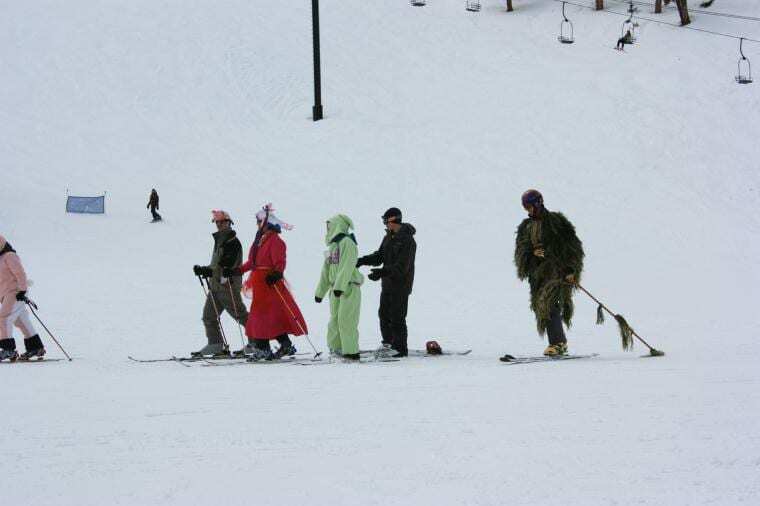 Only ten percent of the trails are rated as beginner. 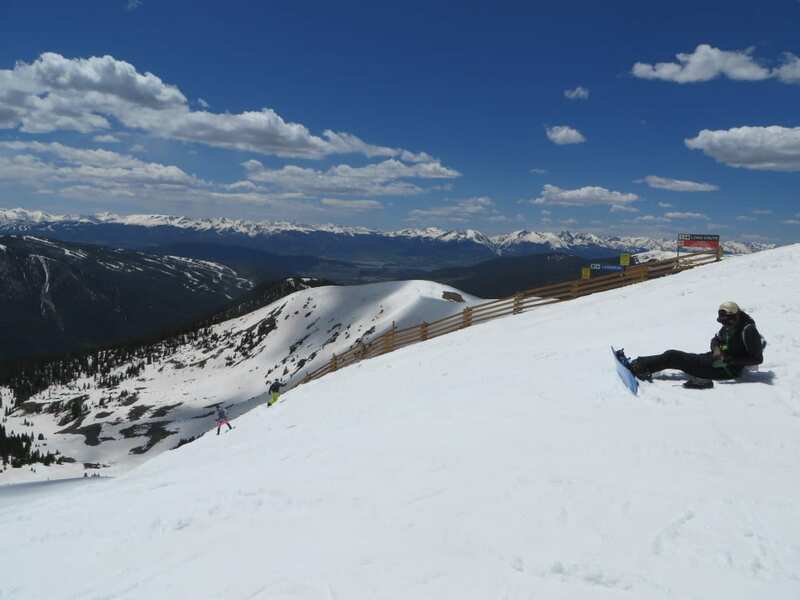 One signature run, Pallavicini, is among Colorado’s longest and steepest trails. 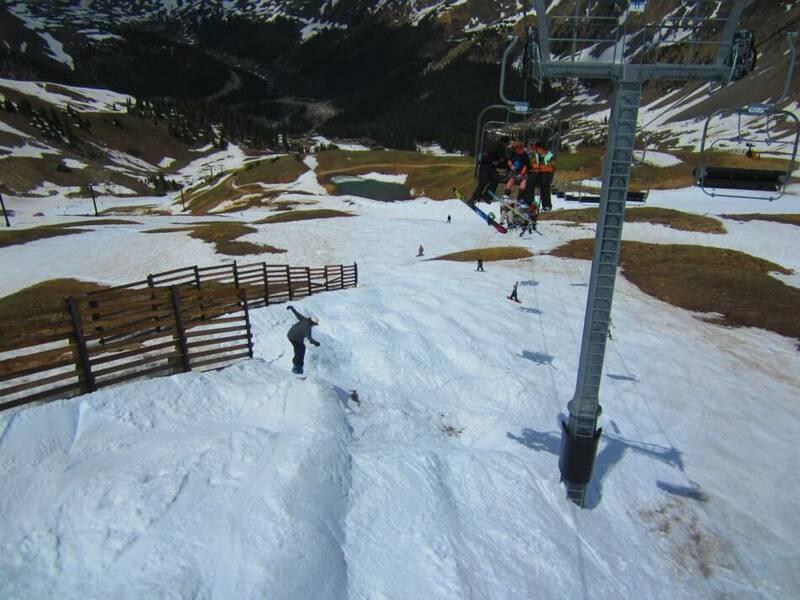 One of the newer terrain additions to A Basin is the Montezuma Bowl, which opened in the winter of 2007/2008. 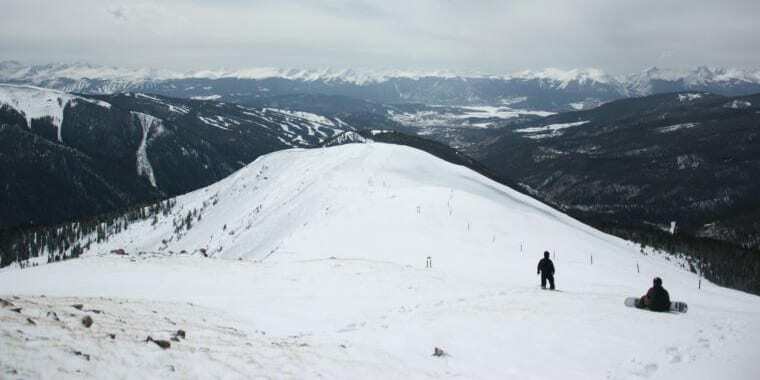 It doubled the size of the resort and contains over a 1000 feet of vertical. 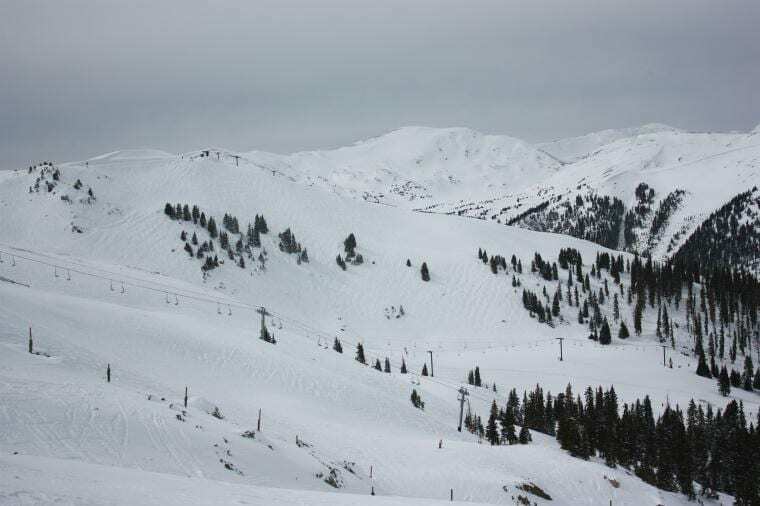 The Montezuma Bowl has a few solid groomers, a couple tree runs, and plenty of opportunities to traverse the open bowl for fresh pow. 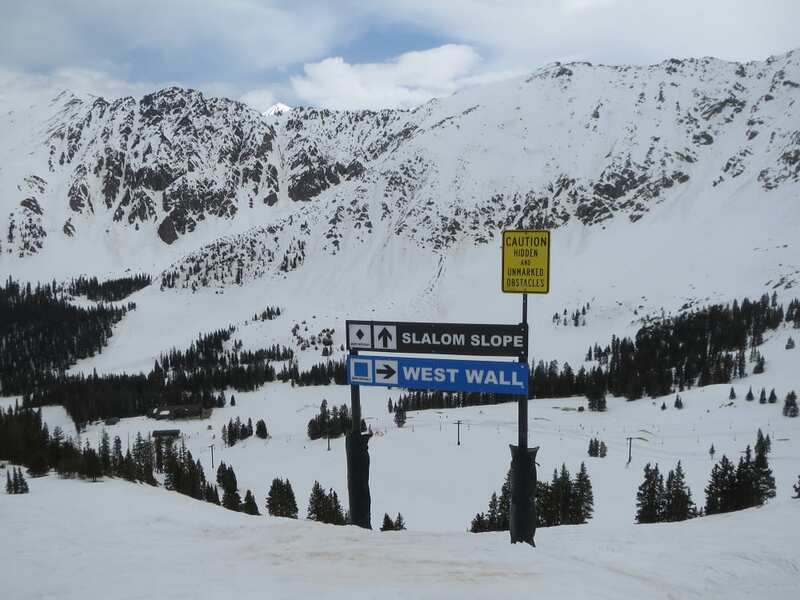 If you enjoy hiking to find your fresh lines, head over to the East Wall off the ​Lenawee Lift. From the top of the mountain, head to the giant rock face and you should see signs to begin your hike. 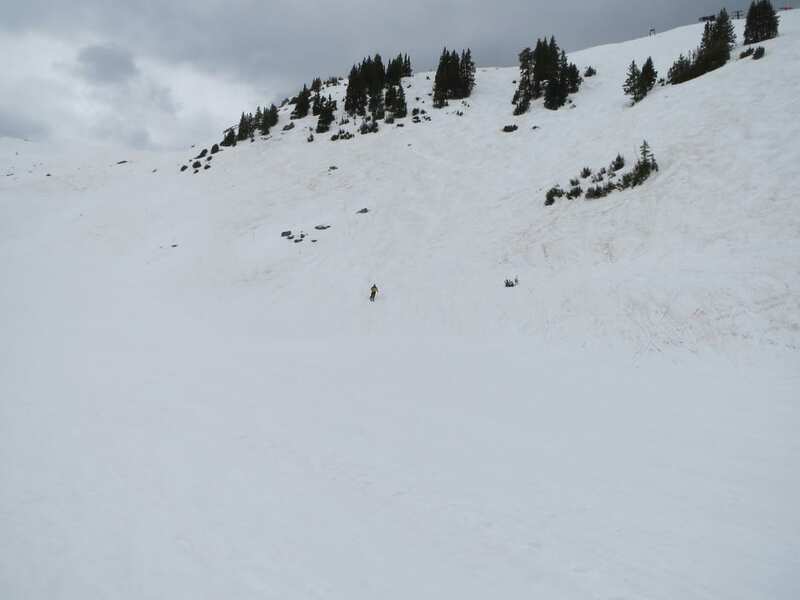 The East Wall is not always open due to lack of snow coverage or avalanche risk, so if you have the opportunity, check it out. There’s no village at A Basin, but there is a giant parking lot known as “The Beach”. 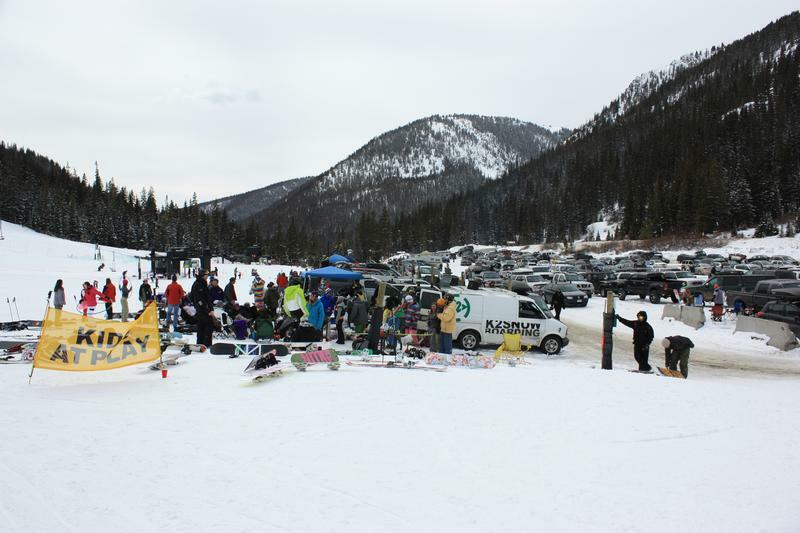 It’s full of folks tailgating with beers and bbq’s before, during and after the ski day. It’s easy to find, as it is the main parking lot, alll of which are all free. 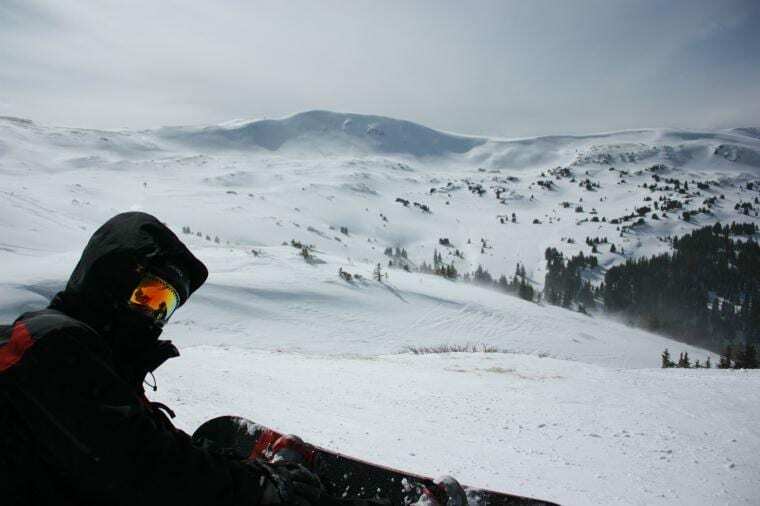 This relaxed, laid-back vibe hits you as soon as you pull up and contributes to A Basin’s status as the locals’ mountain. 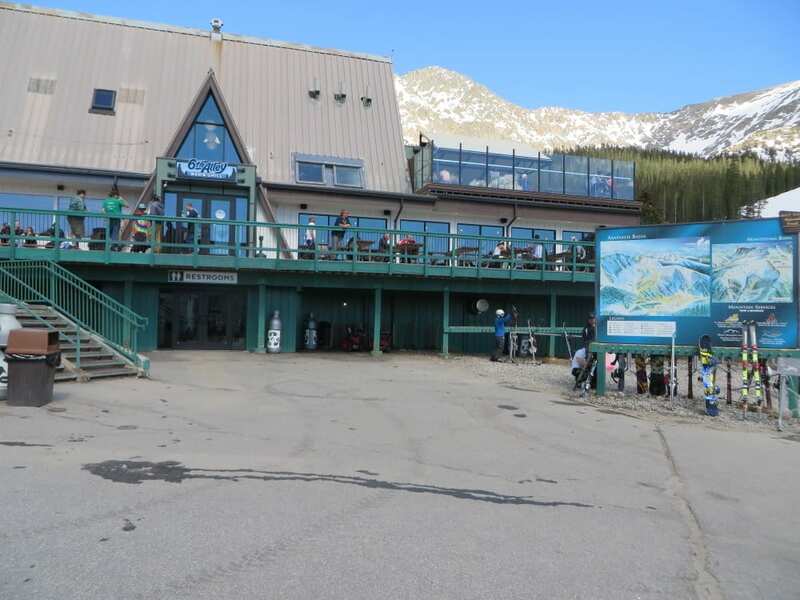 A Basin’s lodge and base area. There are plenty of amenities to be found. 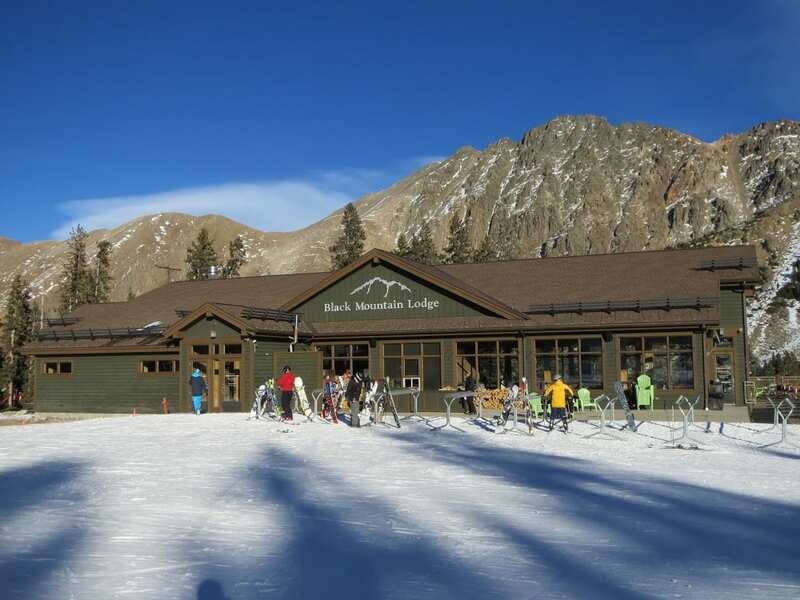 The Black Mountain Lodge offers mid mountain dining and there’s a large lodge at the base. 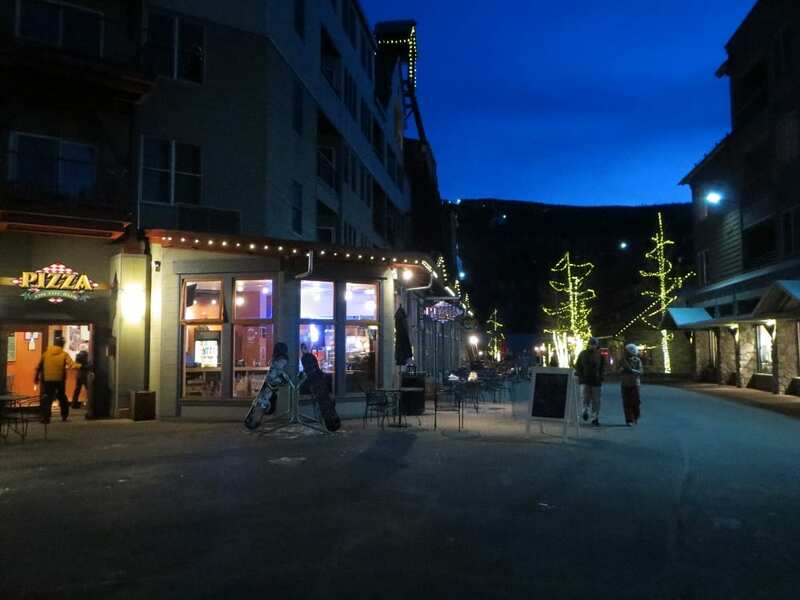 Sixth Alley Bar is the place to be after a long, enjoyable day of skiing the mountain. You can find it at the base inside the lodge. 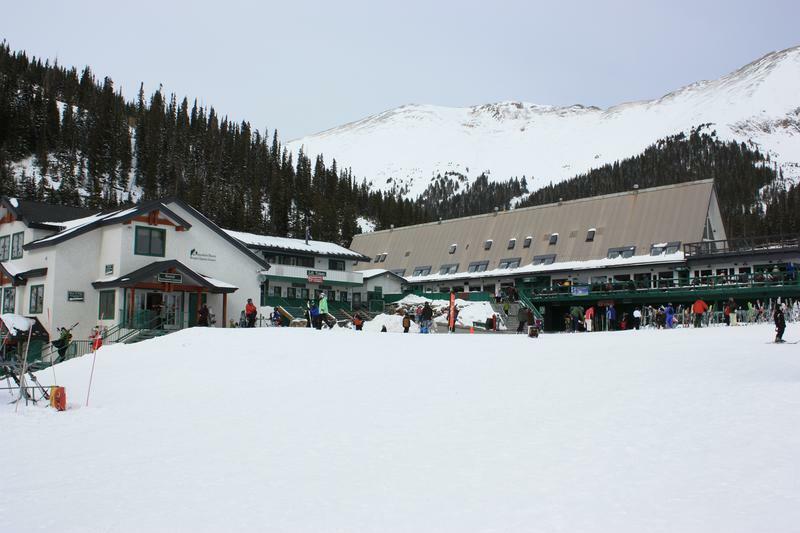 Shopping is limited, but there is a gift shop in the lodge with all the necessary winter gear. A Basin does not offer any lodging options through the resort. 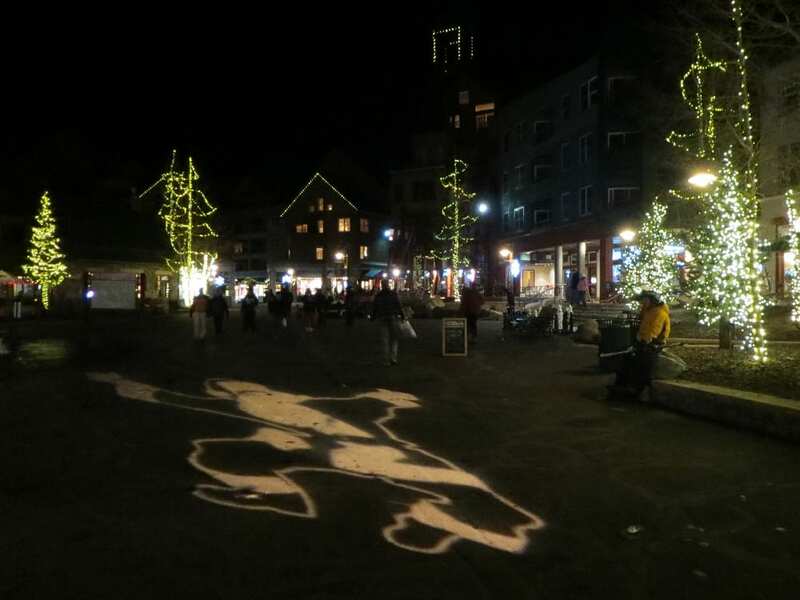 Nearby towns in Summit County, such as Keystone, Silverthorne and Frisco, all make great places to rest your head at night. 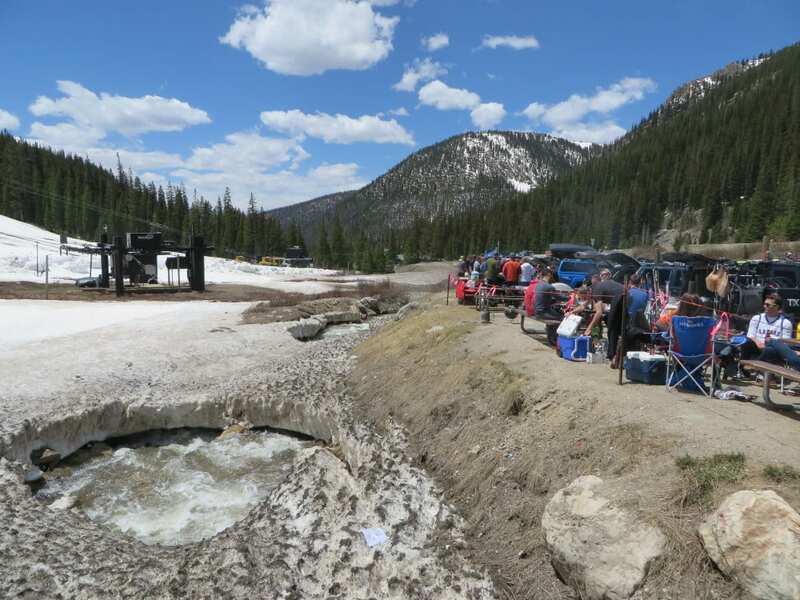 A small gathering at A Basin's parking lot, aka "The Beach". 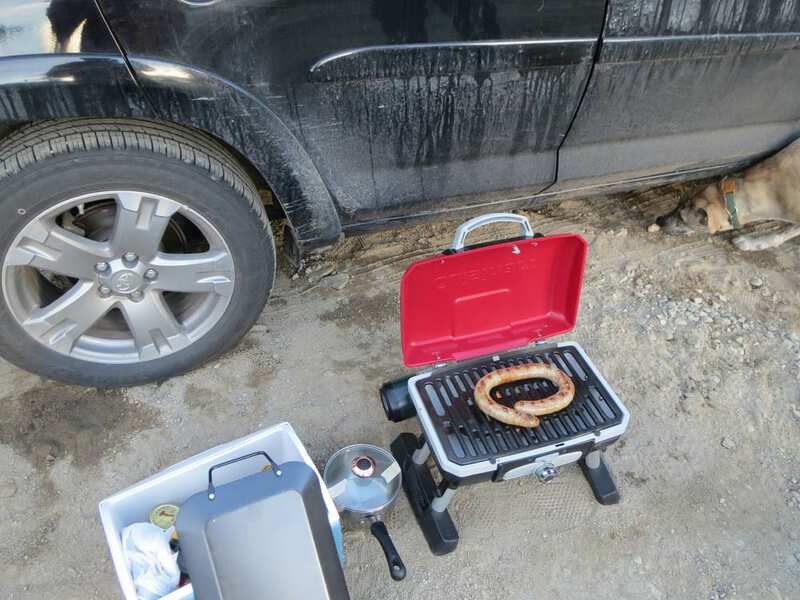 The Beach is really popular for tailgating during warmer days. 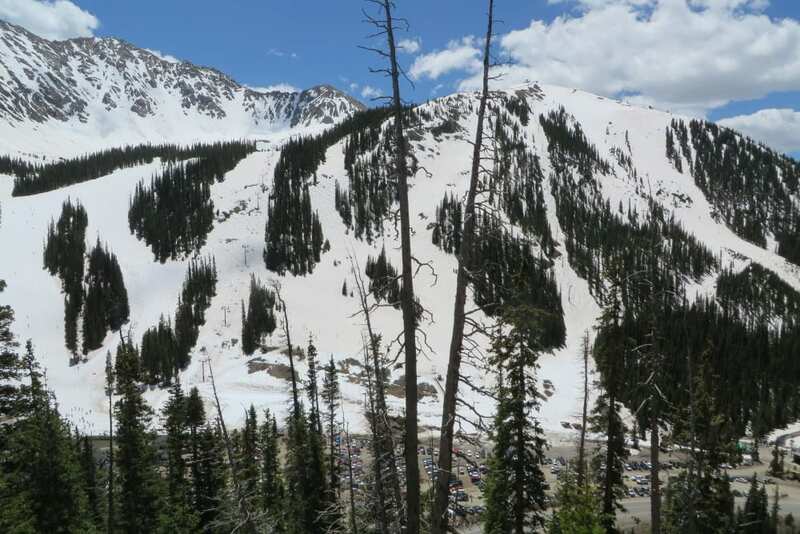 A Basin's East Wall has some hiking opportunities for expert skiers and riders. 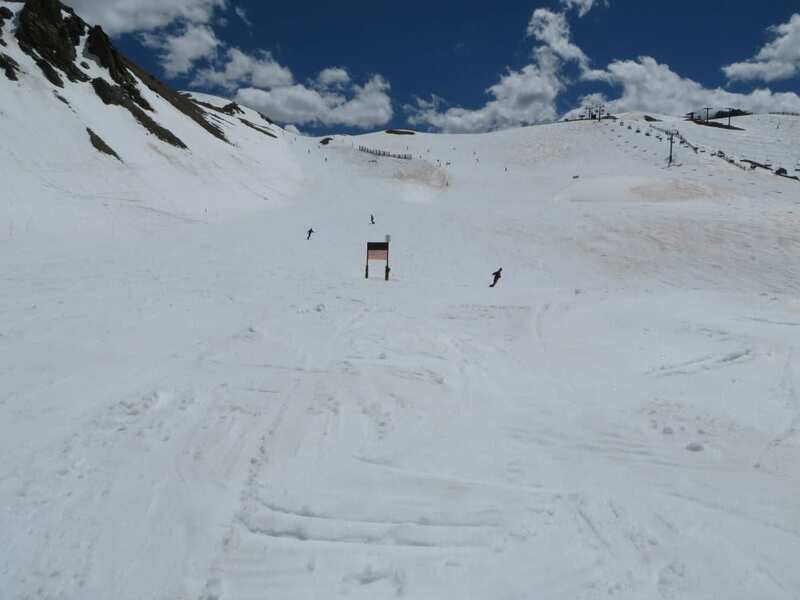 June 26th and A Basin is still going strong. 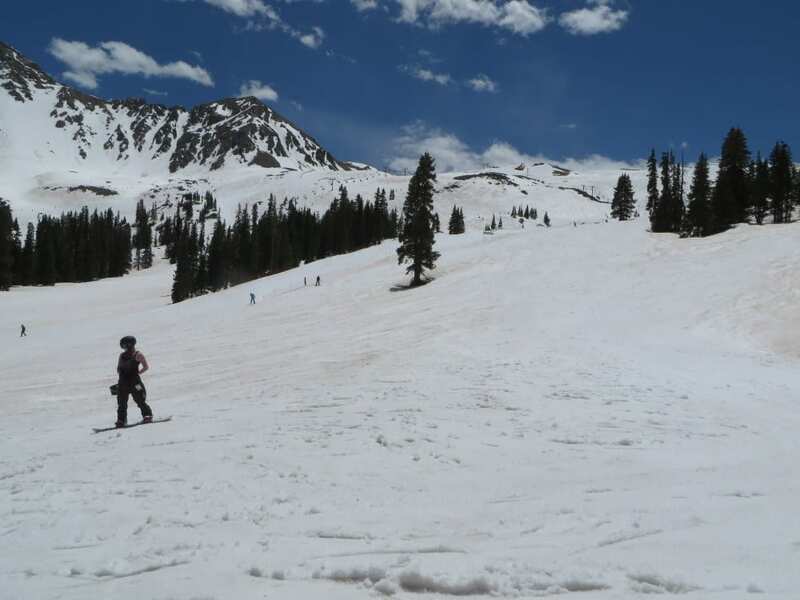 Launching from an A Basin cornice during a warm Spring day. 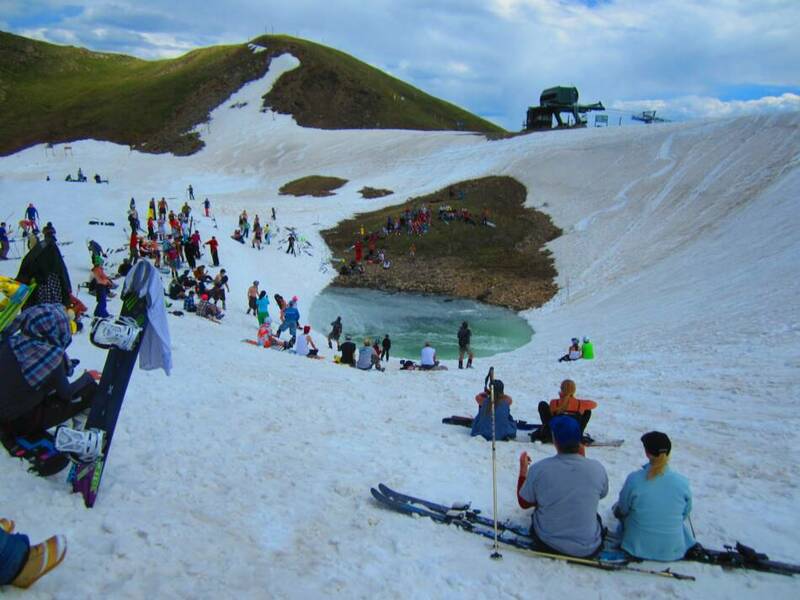 July 4th pond near the summit of A Basin. Do you dare? 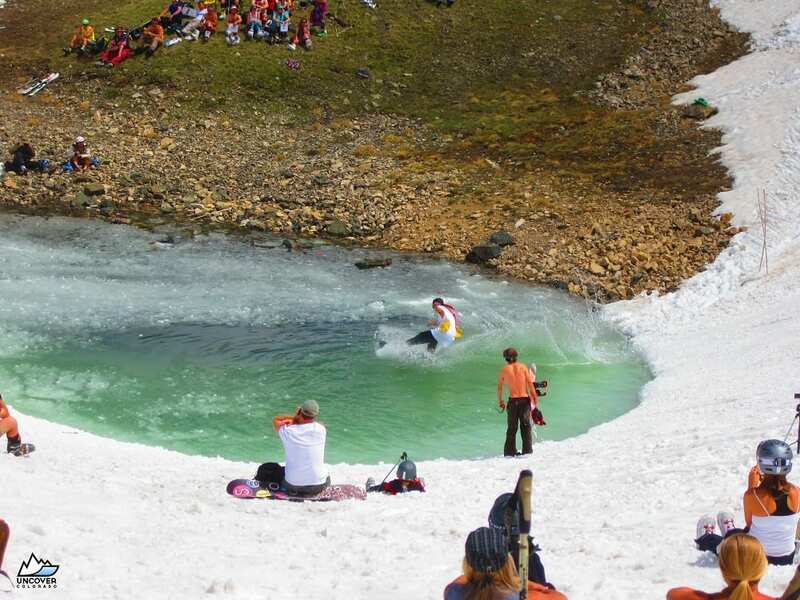 Spring pond skiing at A Basin. 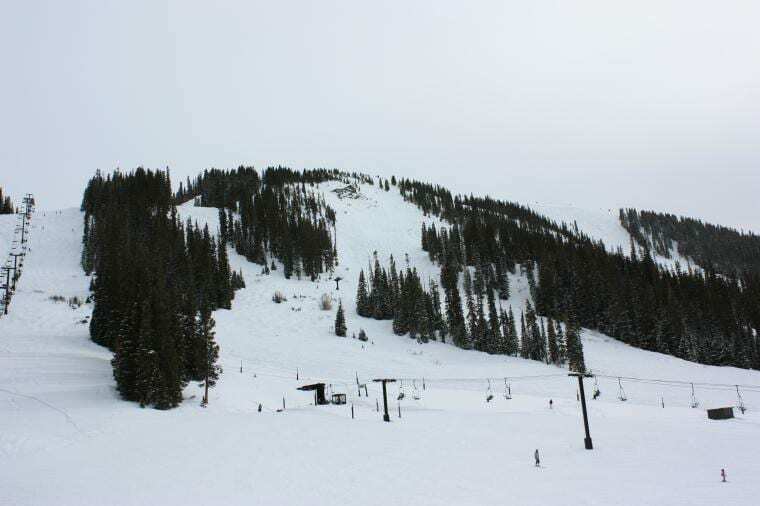 April 4, 2010 – A Basin got seven inches of fresh powder today. 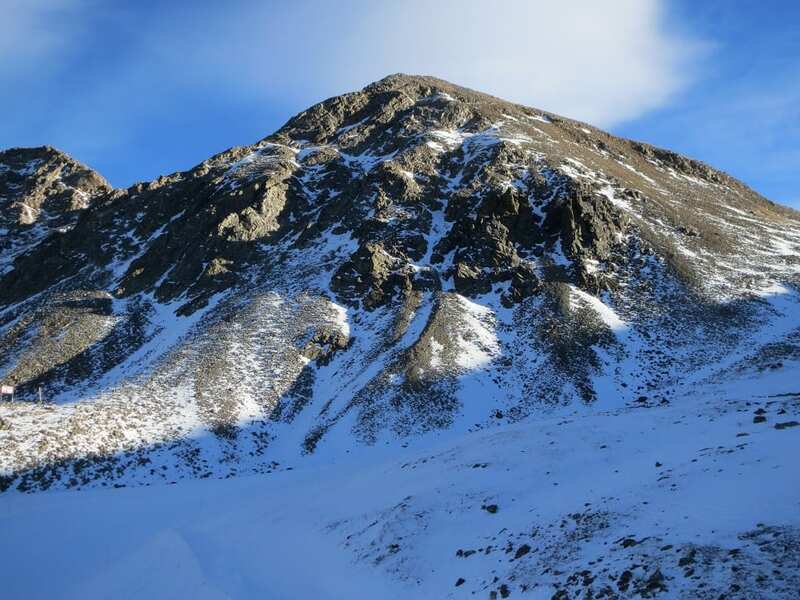 By the time we got up there at noon, we had to traverse to get to most of ours. 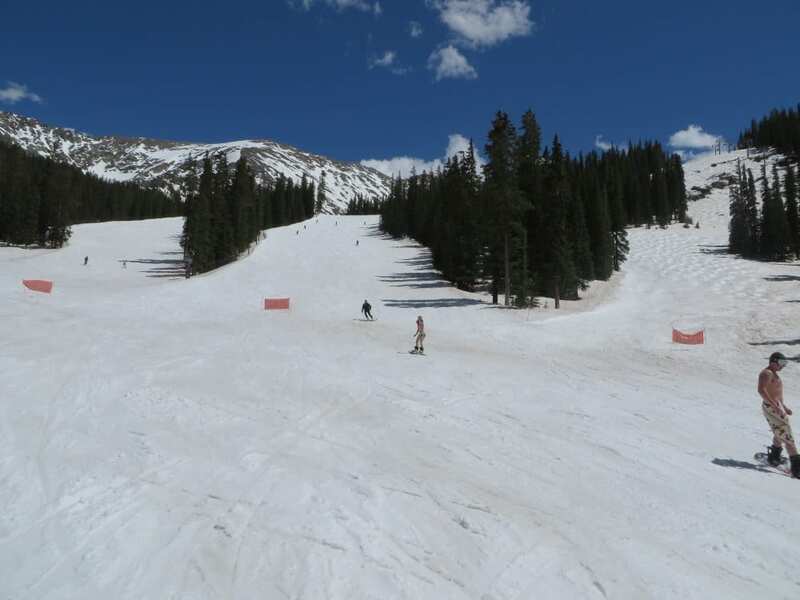 We decided to go right for A Basin’s Montezuma Bowl. 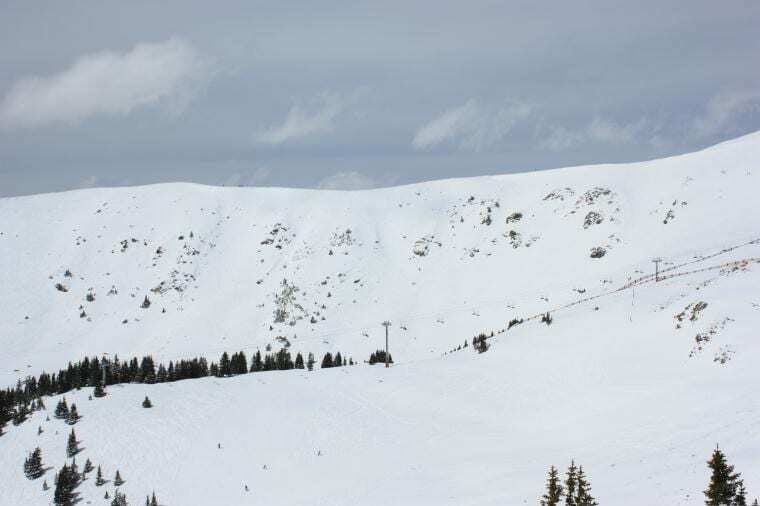 There is a nice blue groomer right off the chair lift we started with on Montezuma. 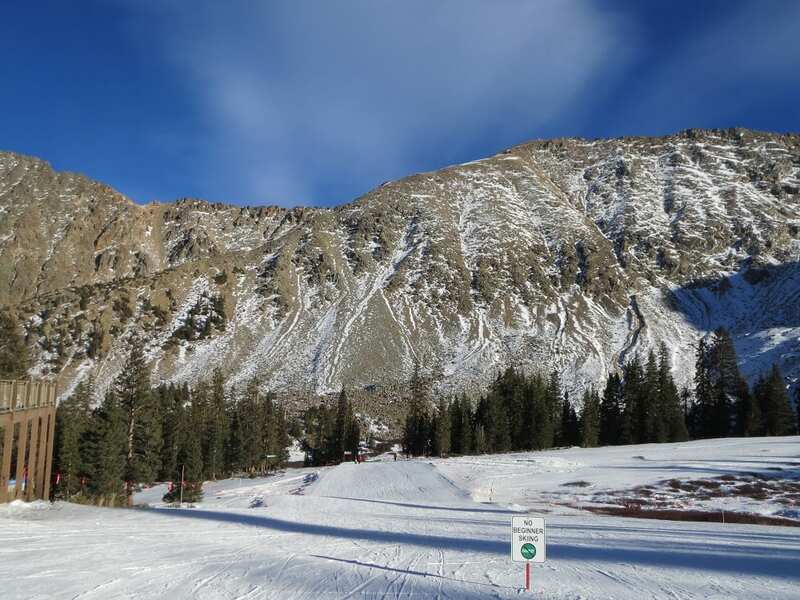 After that we did some traversing/hiking in both directions of the chair lift at the top of Montezuma Bowl looking for fresh snow. 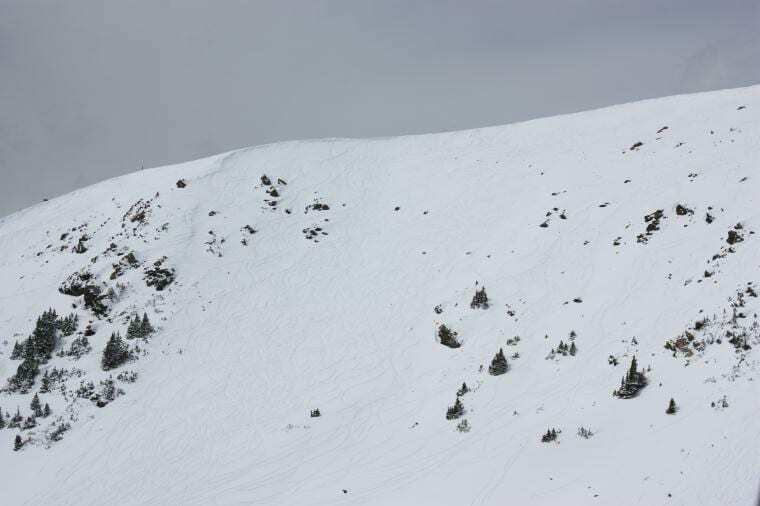 After getting fresh lines in the Montezuma Bowl, we traversed the East Wall a couple times to get more snow. 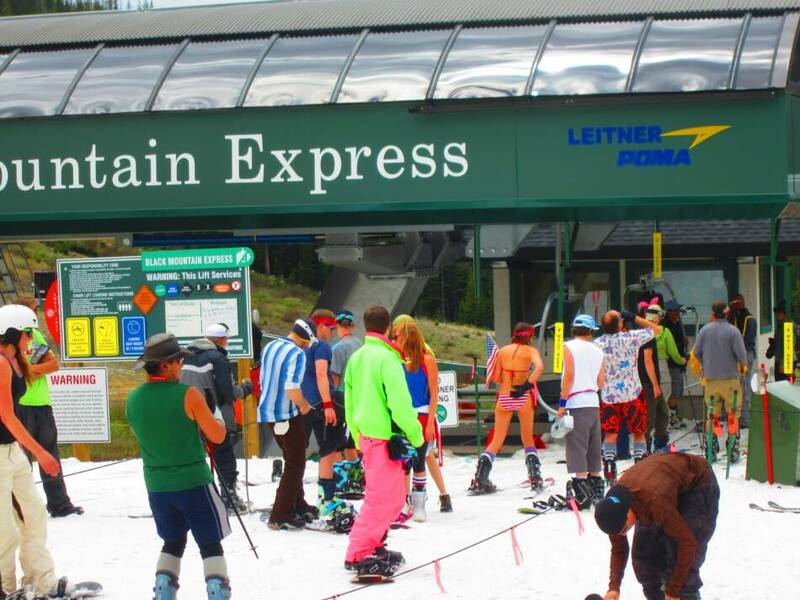 You begin traversing from the top of the Lenawee Mountain lift (keep your speed up). 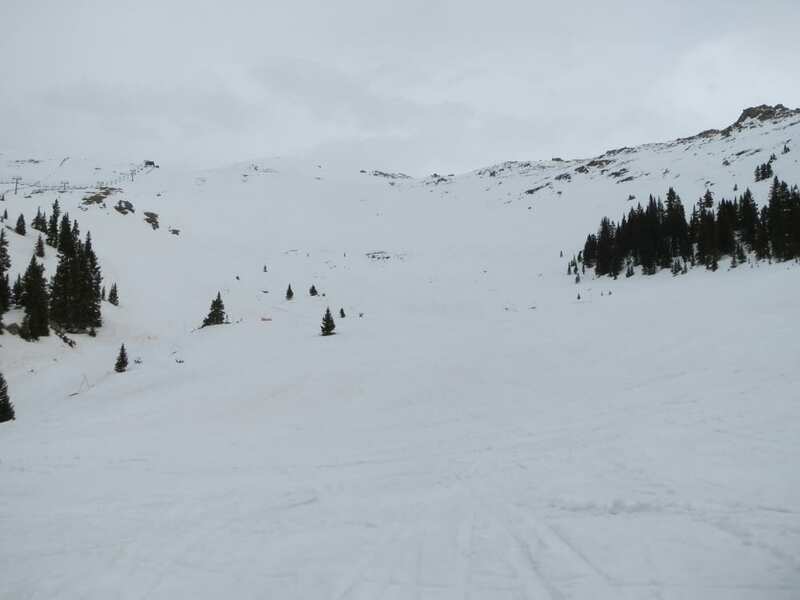 When A Basin closed up at 4:00pm, we grabbed a quick beer at “the beach” and then headed to Loveland Pass to get a couple more runs in for the day. Thank you day-light savings time. 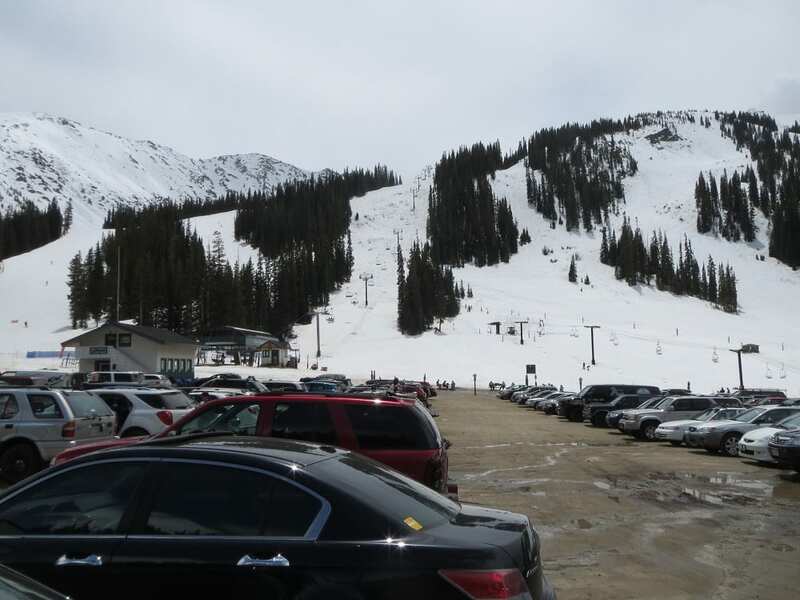 We arrived at Loveland Pass for some backcountry and were lucky enough to have a driver with us (otherwise we would just thumb a ride). 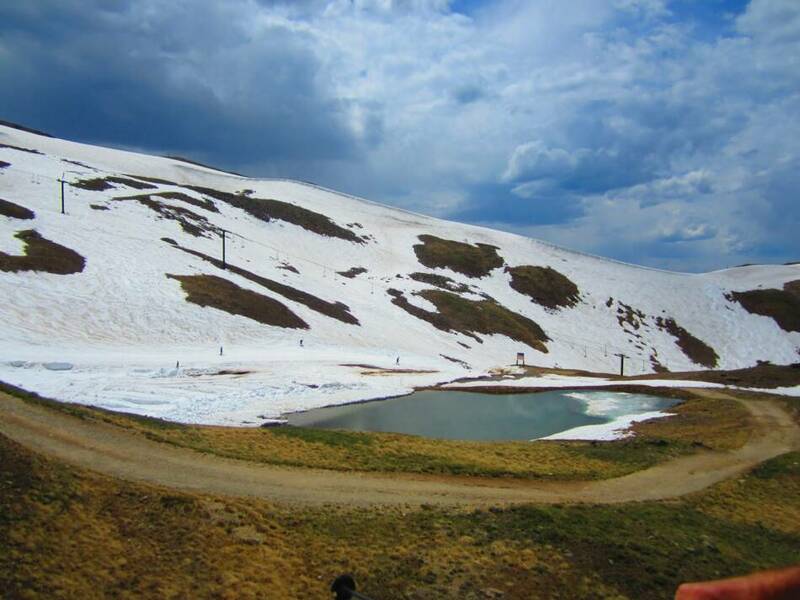 The snow at Loveland Pass was exceptional, better than at A Basin. 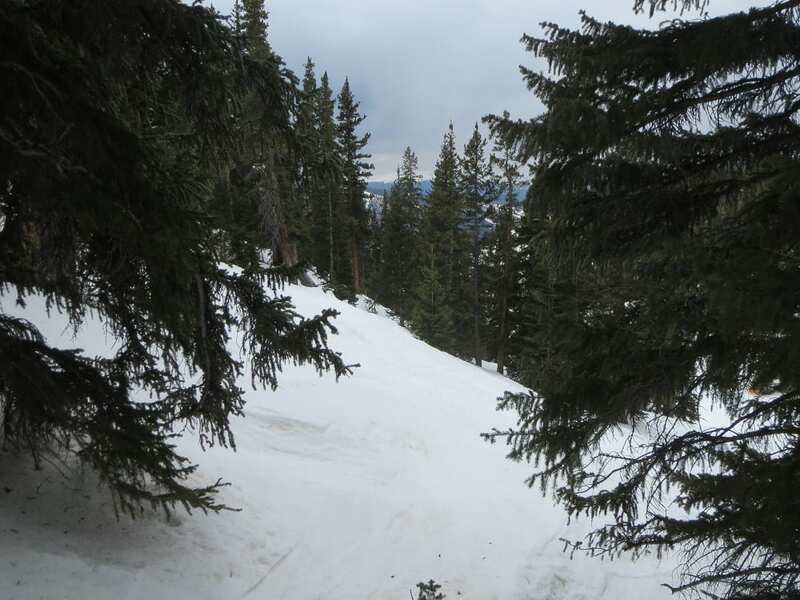 The risk of avalanche is usually greater in the spring (because of the varying temperatures and layering of snow), however, most of the runs we do are through the trees, where the risk is less. 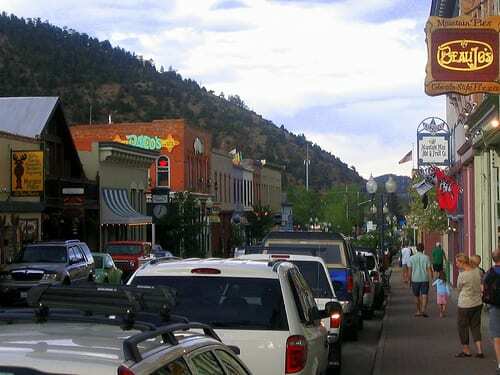 Afterwards, we got some food at BeauJo’s in Idaho Springs. 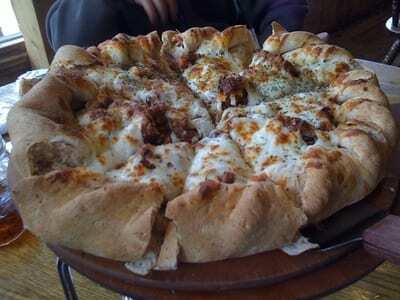 The pizza was great, but we may have to do the Prairie Pizza next time. It has much thinner crusts. The crusts on their mountain pie dominated us. 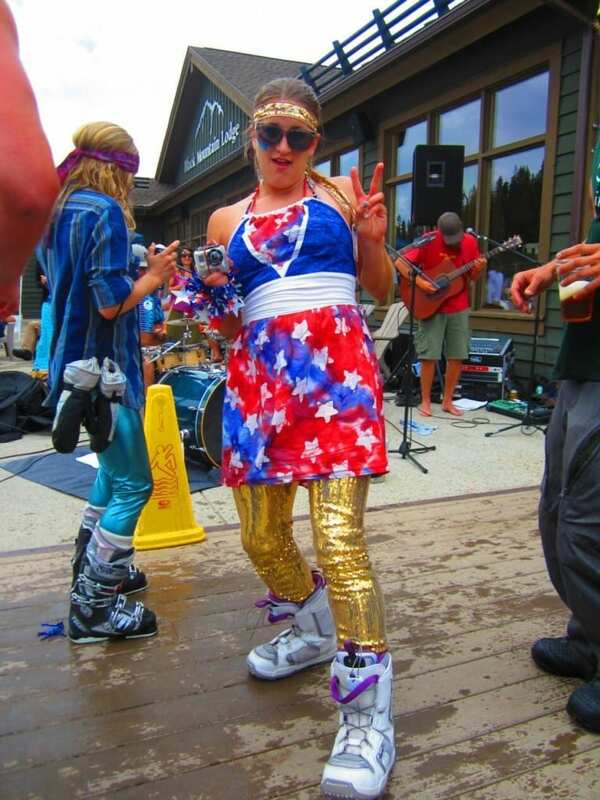 Easter at A Basin brings out the finest. 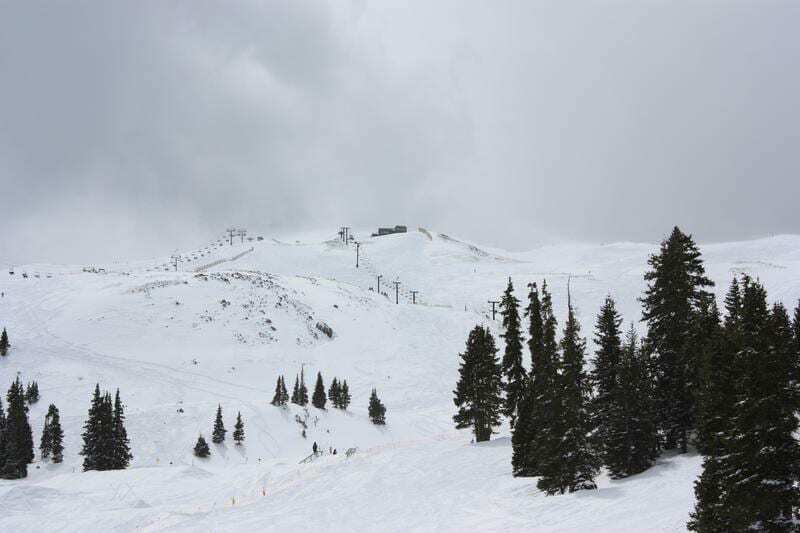 Front side of the mountain. 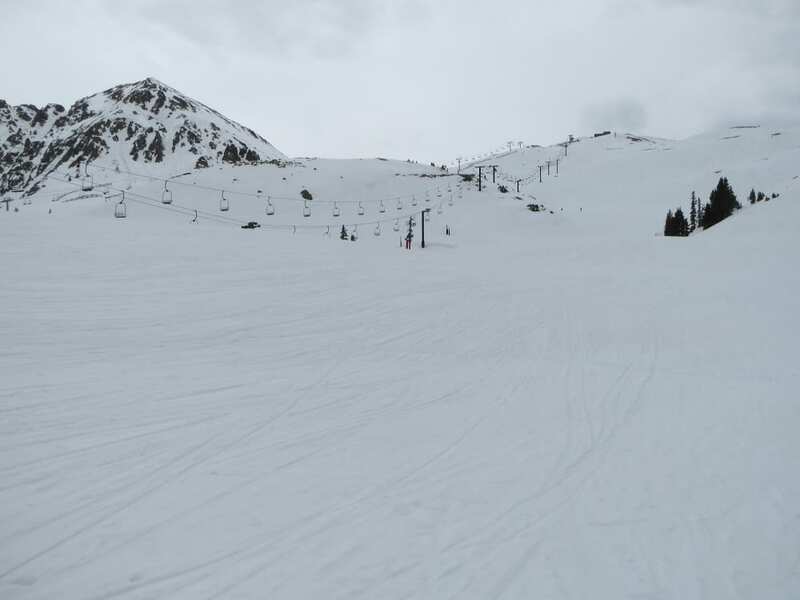 Beginner lift near The Beach (There is some expert terrain on far right). 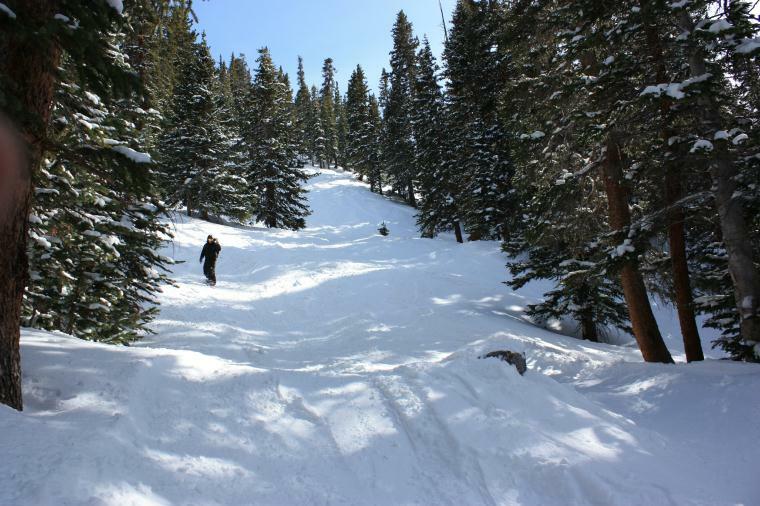 Tree run in the Montezuma Bowl (you need to traverse, skier-left, from the top Zuma chair). 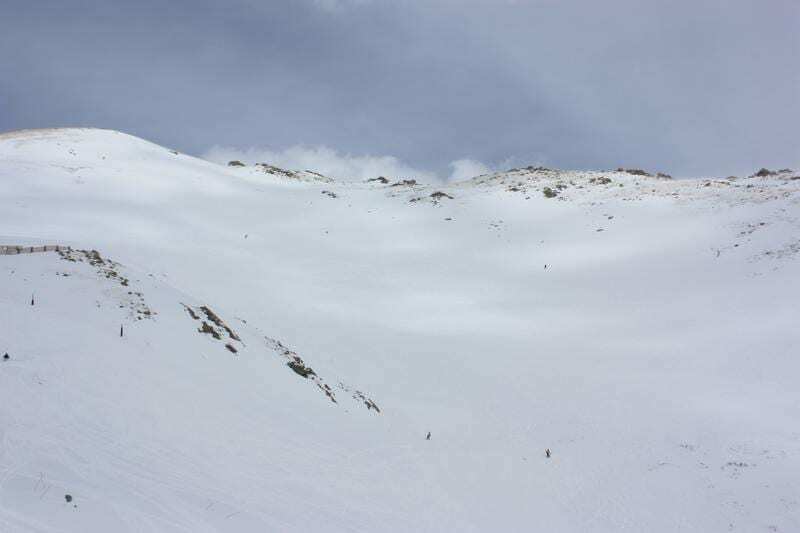 Fresh lines down Montezuma Bowl (must hike/traver skier-right from top Zuma lift). 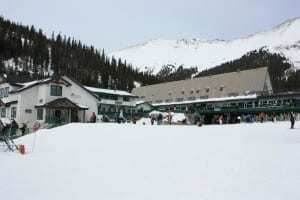 Main lodge restaurant and bar. 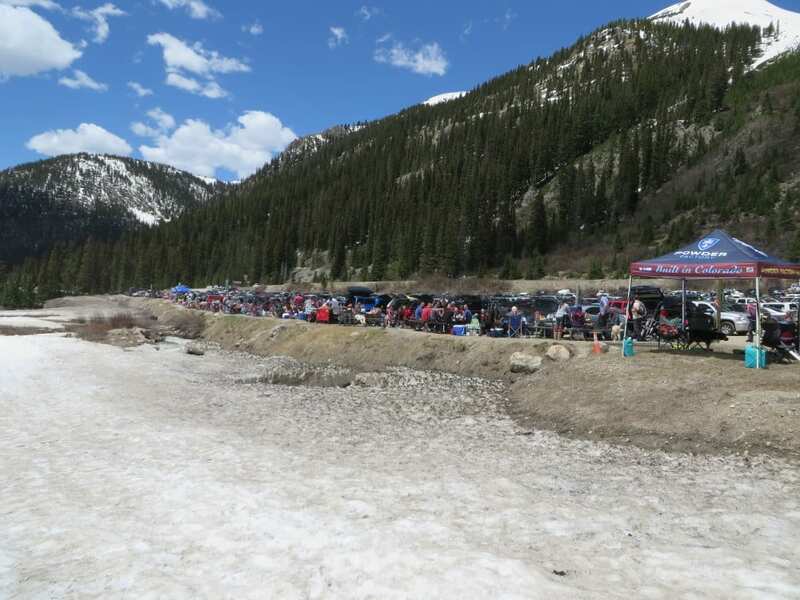 A Basin's Beach - This place gets packed when it's actually warm out. 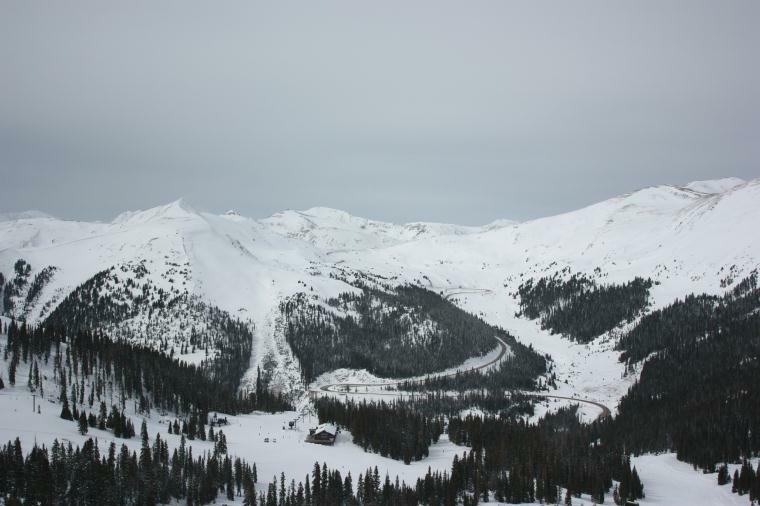 Loveland pass bowls (the avalanche risk is high over in the bowls). 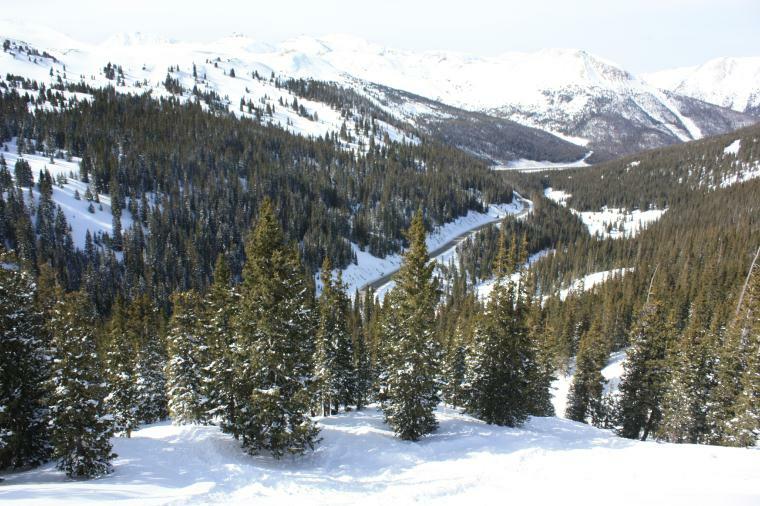 Loveland Pass backcountry tree run (notice Loveland Pass - Highway 6). 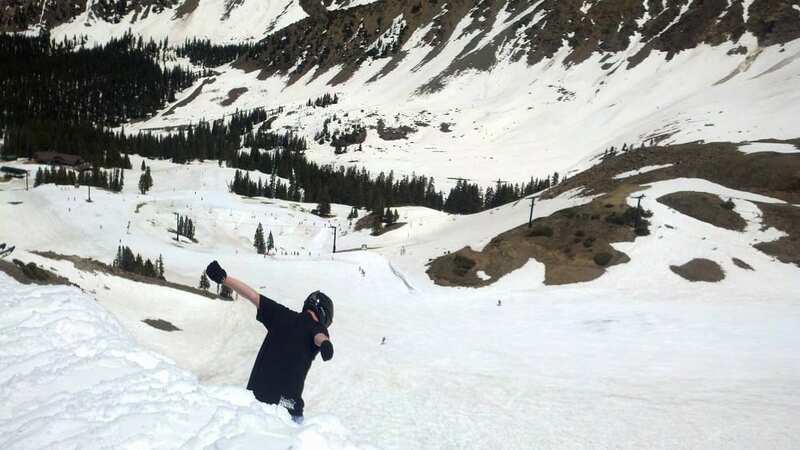 Travis tree sliding at Loveland Pass back country. Eyeing up a stump at Loveland Pass. Travis takes to the air with form. BeauJo's Mountain Pizza dominated us. Pond skiing at A Basin. 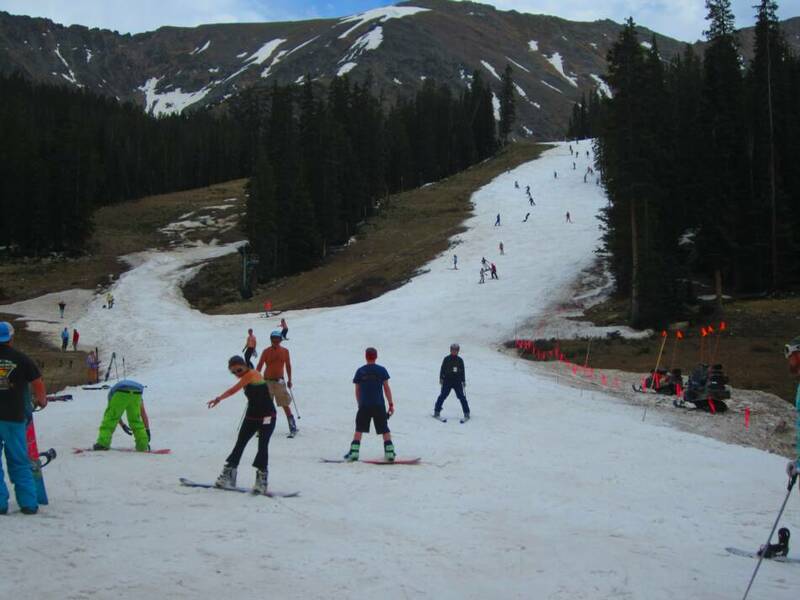 July 4, 2011 – Officially the last resort to close in Colorado, A Basin partied until the Fourth of July. 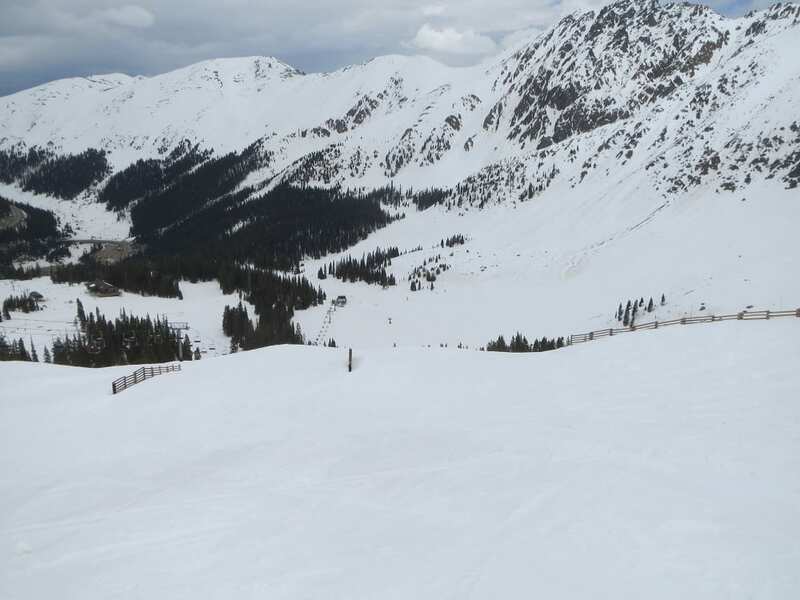 Arapahoe Basin’s expert groom team made sure skiers could access the top of the mountain. The pond which usually appears lower on the mountain, had been roped off. 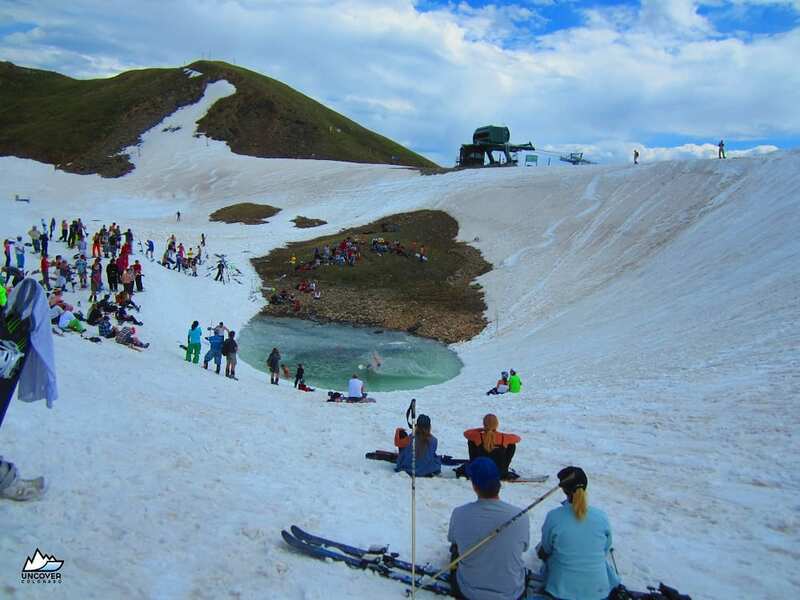 A new smaller pond was open for adventures near the summit. 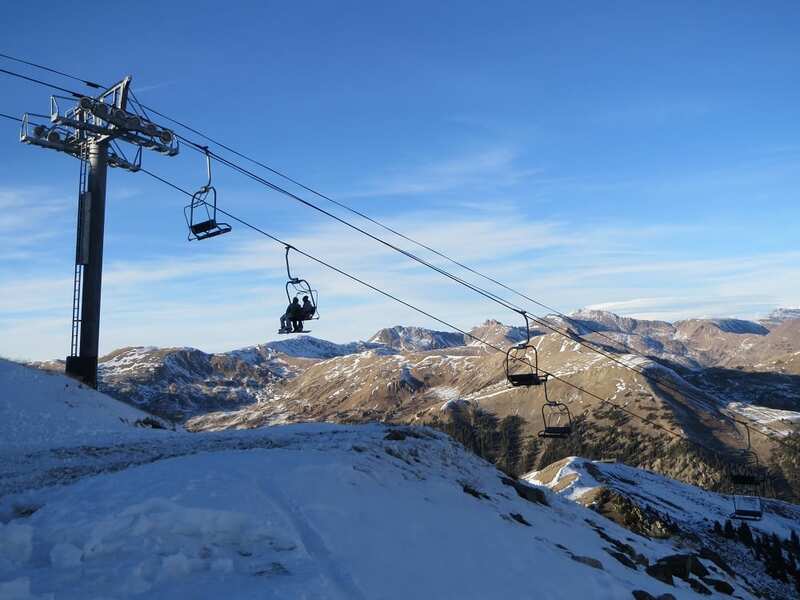 A Basin has great views from their chairlifts. It’s especially nice when the weather is warm and the sun is shining. Probably not gonna make it. 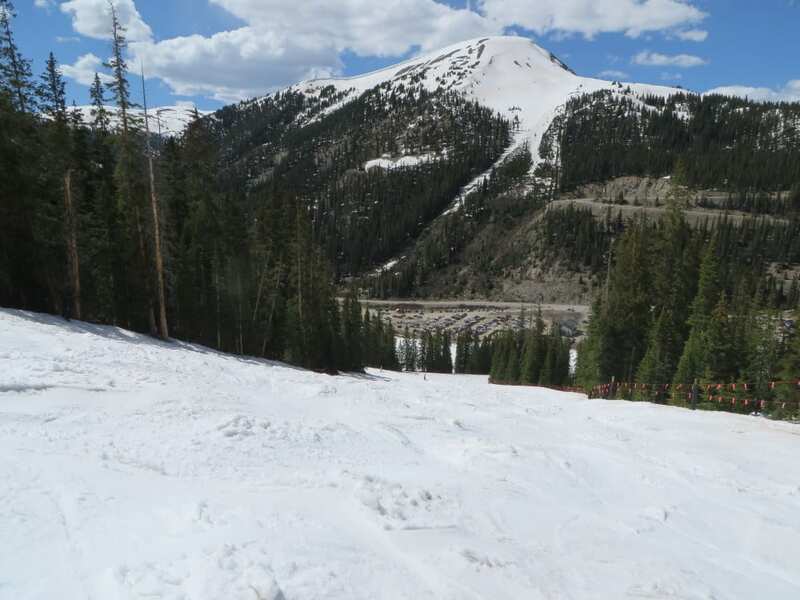 Early season riding at A Basin. 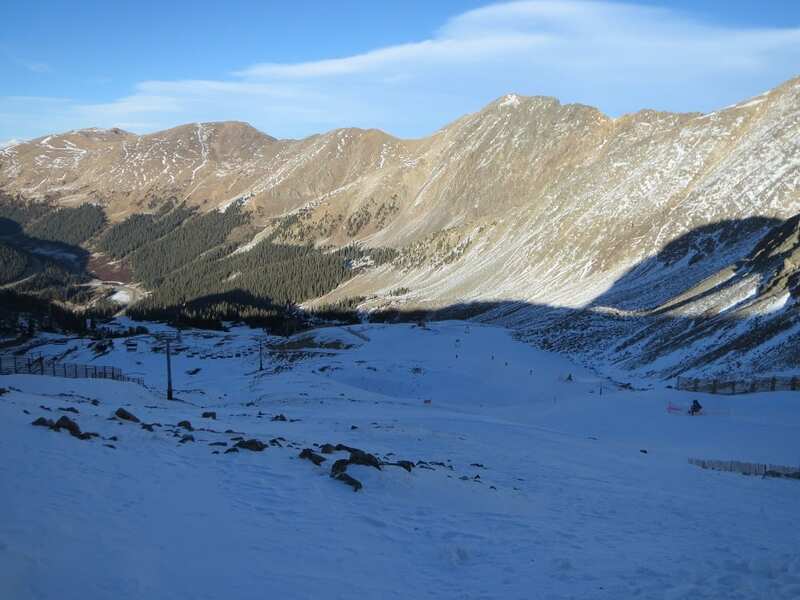 December 1, 2012 – The Rockies are off to a slow start this season, but that make’s for little crowds on the slopes and I-70. 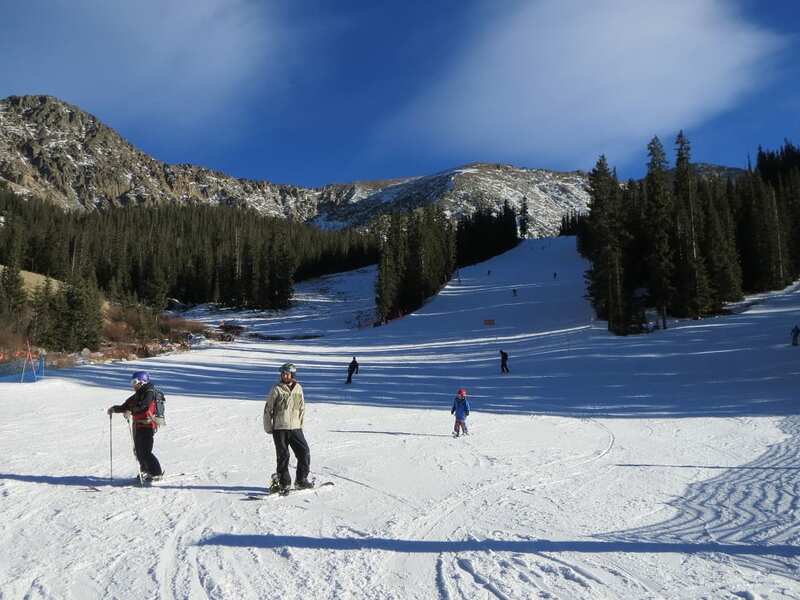 We began the day at A Basin and then went over to Keystone for night skiing. 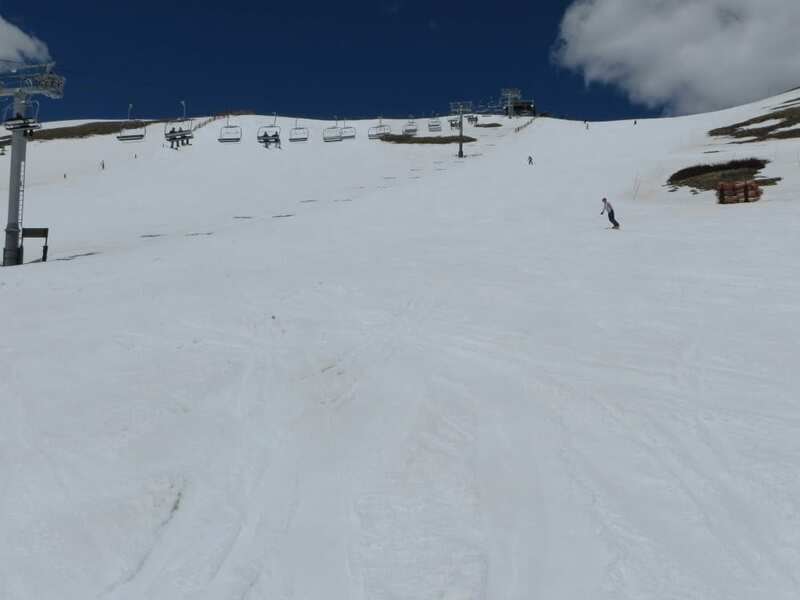 The mountain was open top to bottom, but there’s only one run from the top. Afterward we headed over for night skiing in Keystone. Keystone’s River Run Village is a well decorated, with plenty of places to eat and stay. 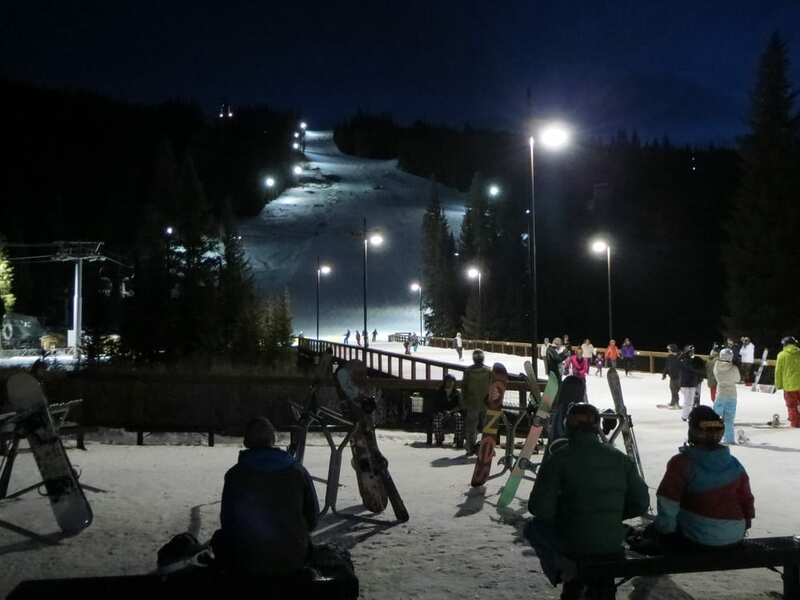 Night skiing is open on Friday’s and Saturday’s and various holidays throughout the winter season. It’s usually open until 8pm on those nights. 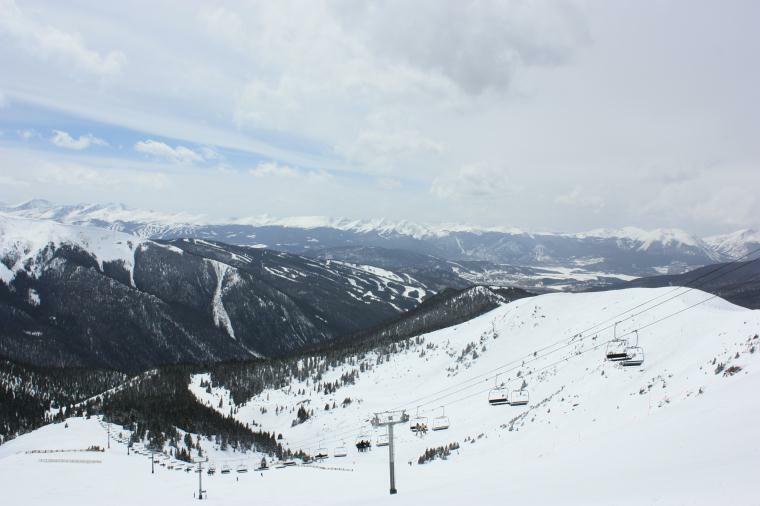 Keystone had several runs open from the top. 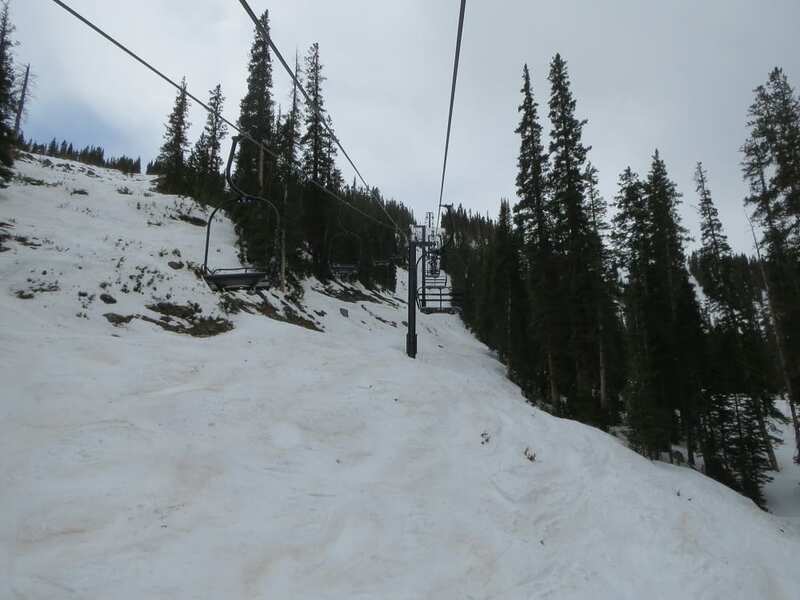 Heading up the express chair to mid mountain. 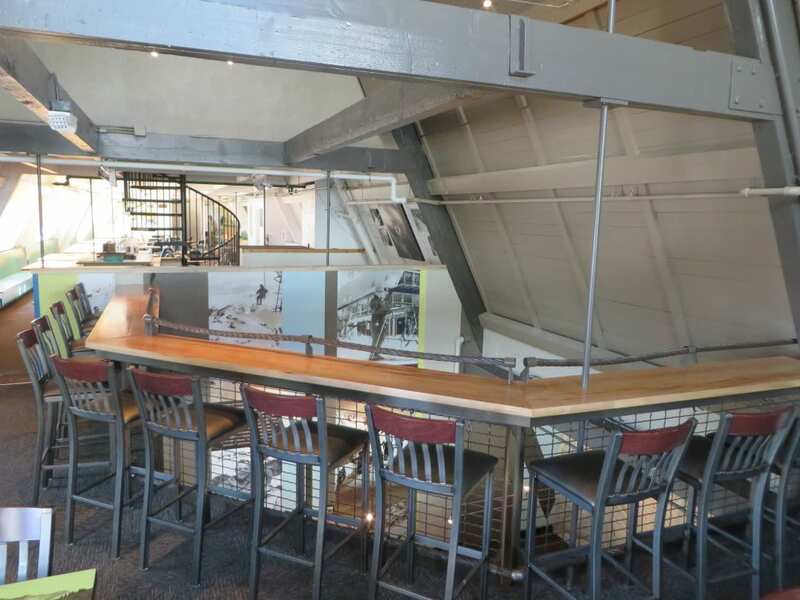 The Black Mountain Lodge has a nice new bar. 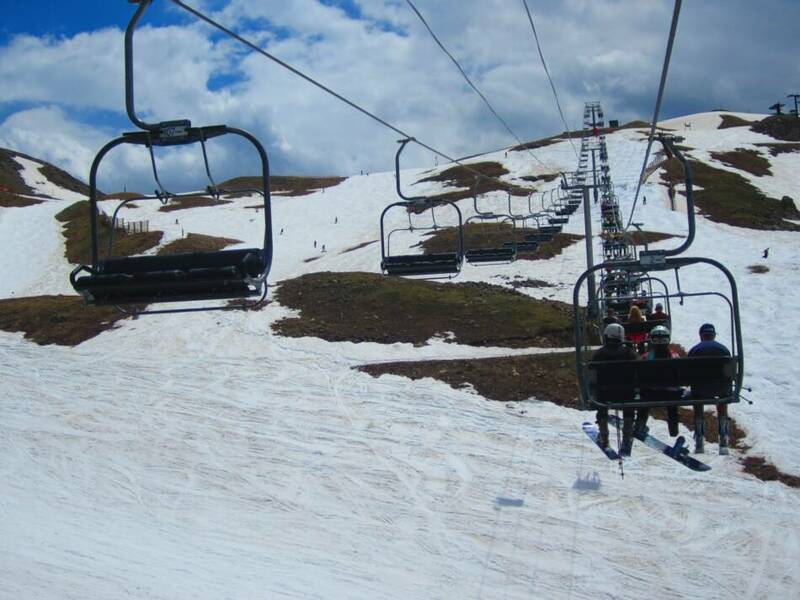 Heading down to the second lift to reach the top. A Basin's iconic East Wall. 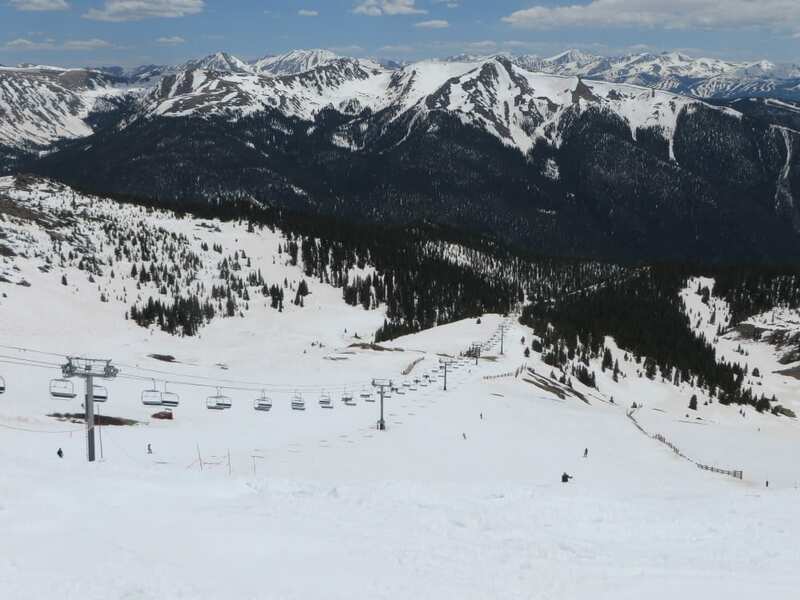 Looking down from mid mountain, terrain park on right. 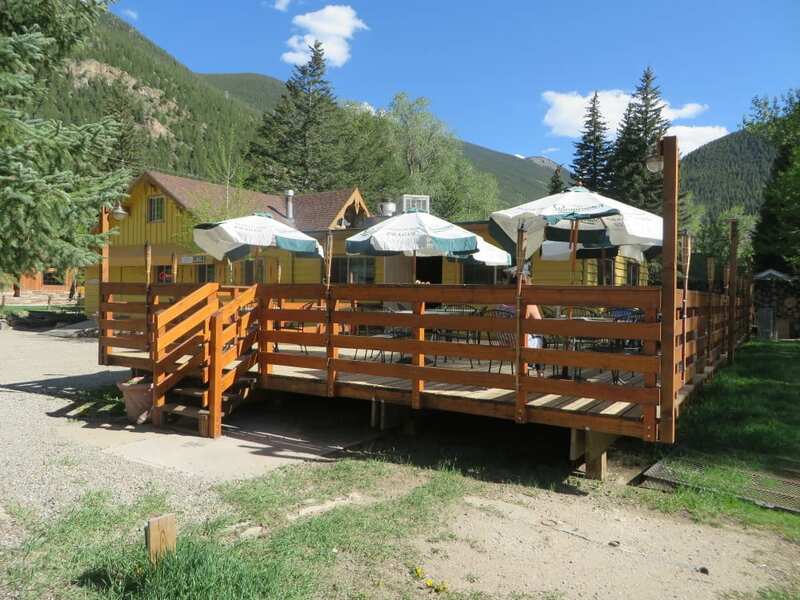 Back to the beach for some food and then over to Keystone. Pizza On The Run has $4 drafts and slices to go. 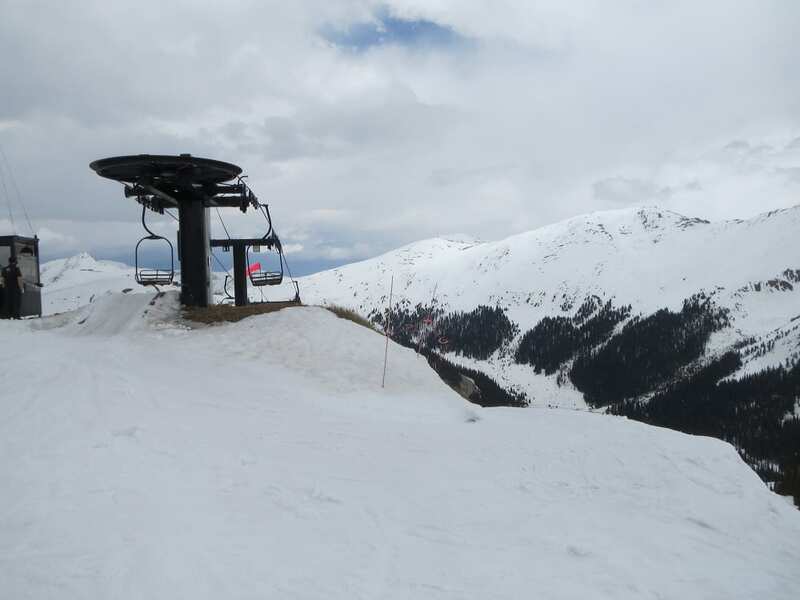 Both the gondola and chair lift were running from the base. 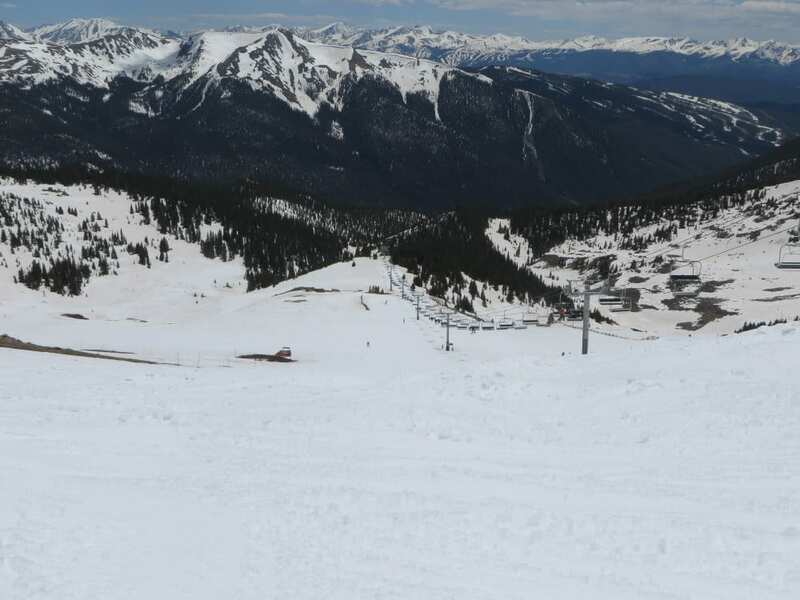 Montezuma Bowl views of Keystone (right) and Breckenridge (left). 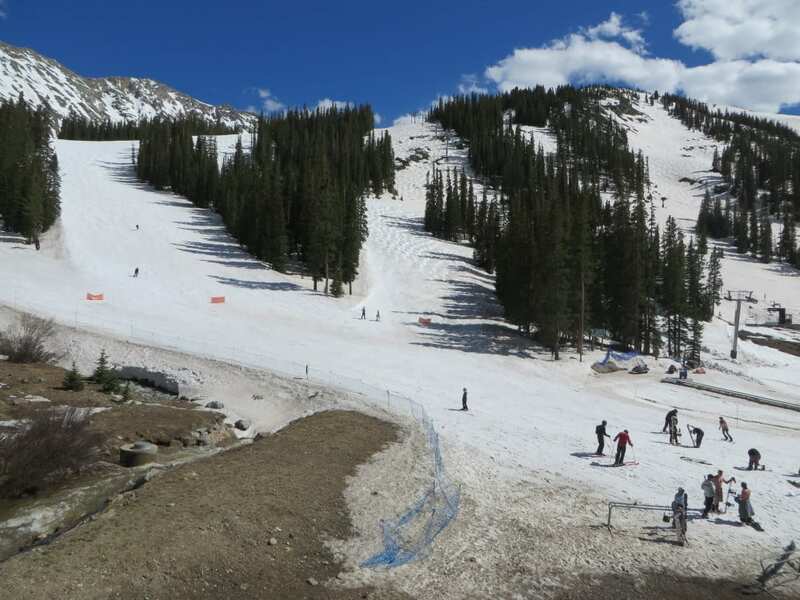 May 13, 2013 – A Basin has the longest ski season in Colorado. 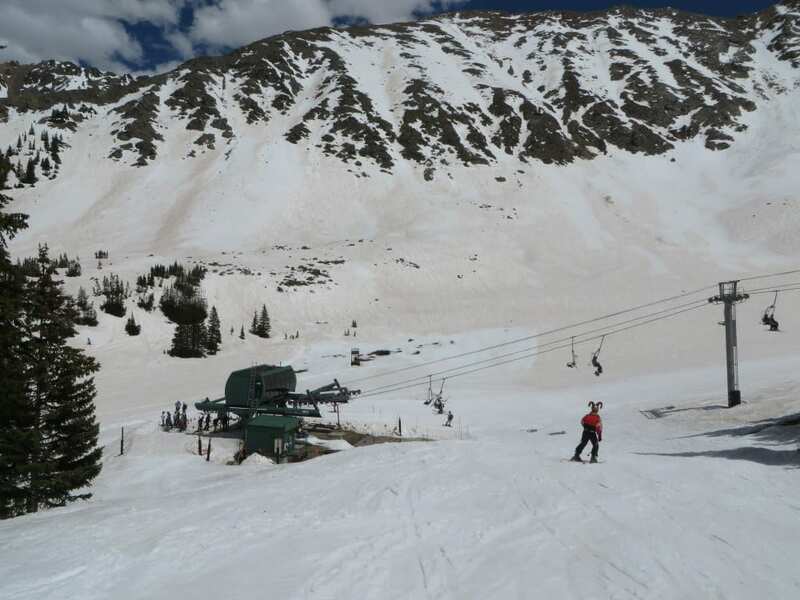 It’s mid May and A Basin is still going strong with a 54″ base. 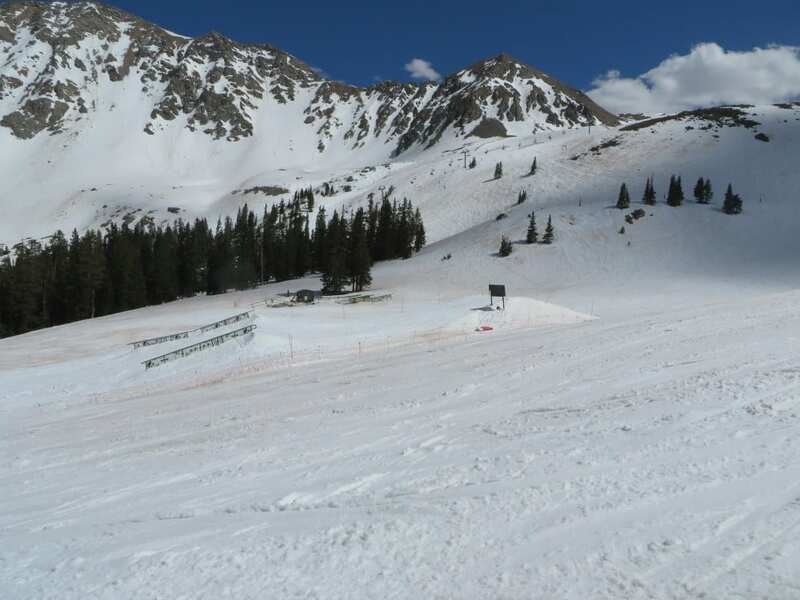 Most of the expert runs have closed down, but there is still a lot to ski, including Montezuma Bowl. 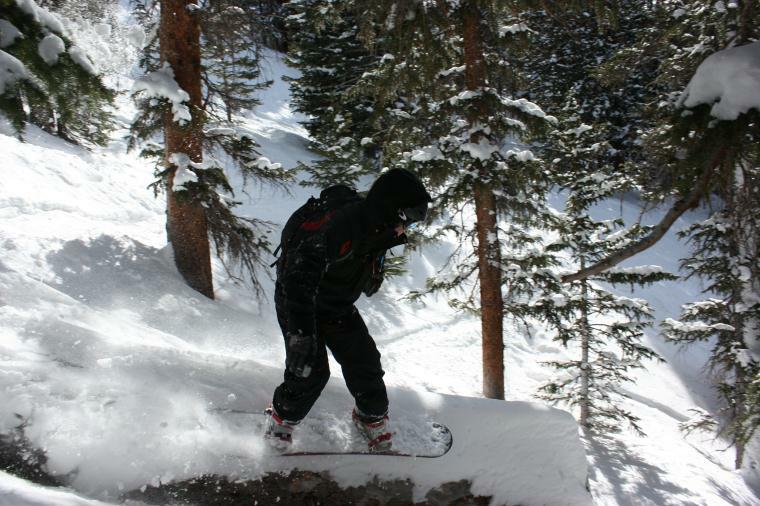 The snow is a bit heavy, given the higher temperatures, but still fun. 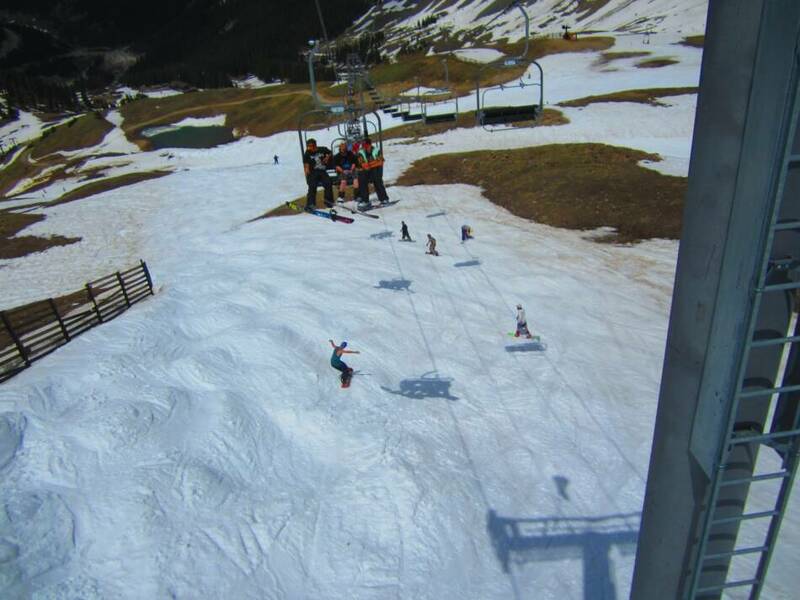 Heading up the old Pallavicini Lift. 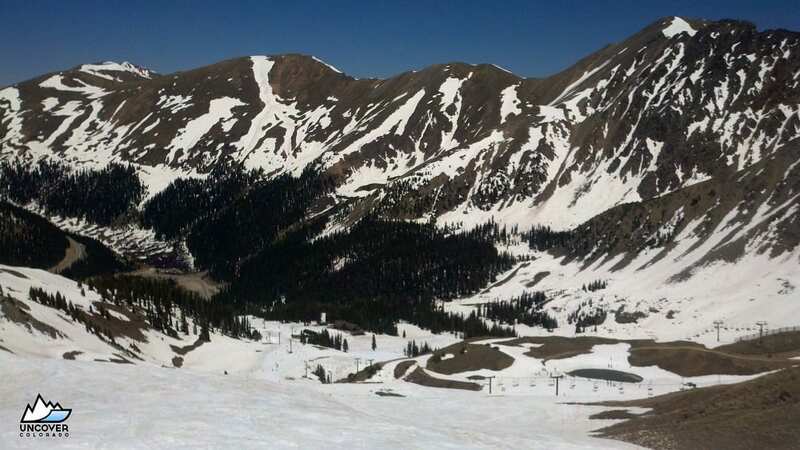 A Basin's East Wall in the distance is the Continental Divide. Front side of A Basin. 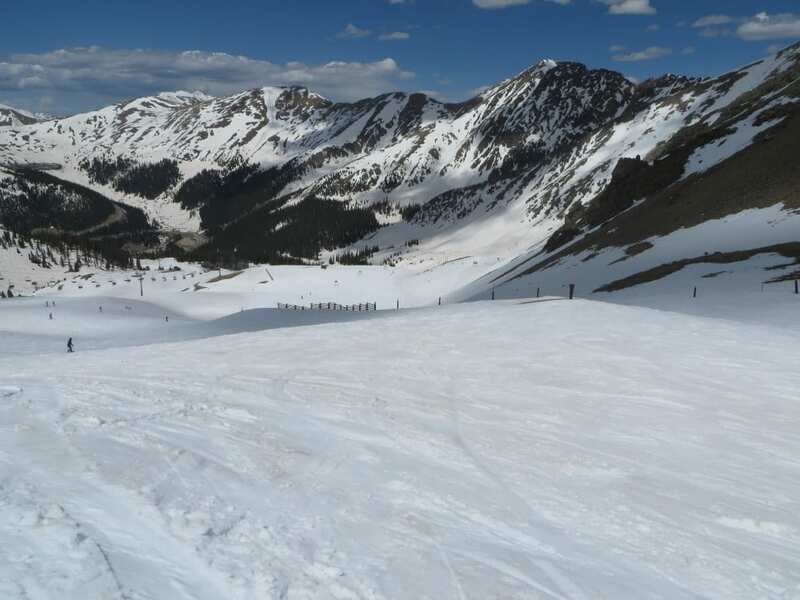 Columbine in the Montezuma Bowl. 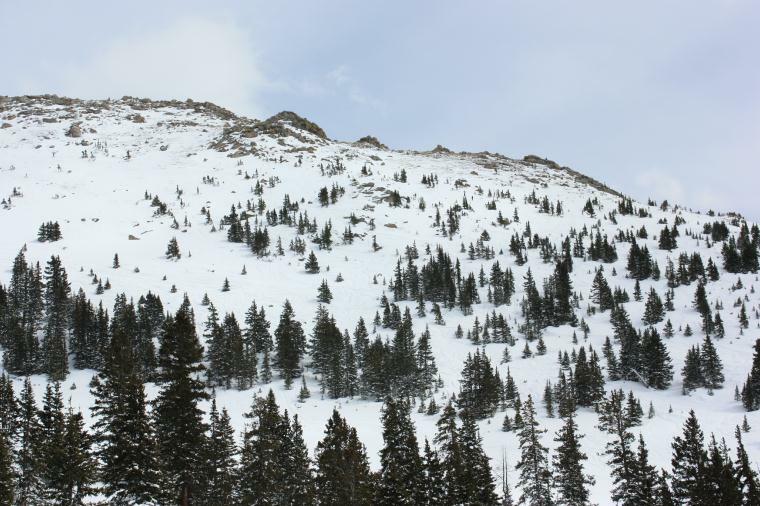 Some trees in Montezuma Bowl. At the lodge for a beer. 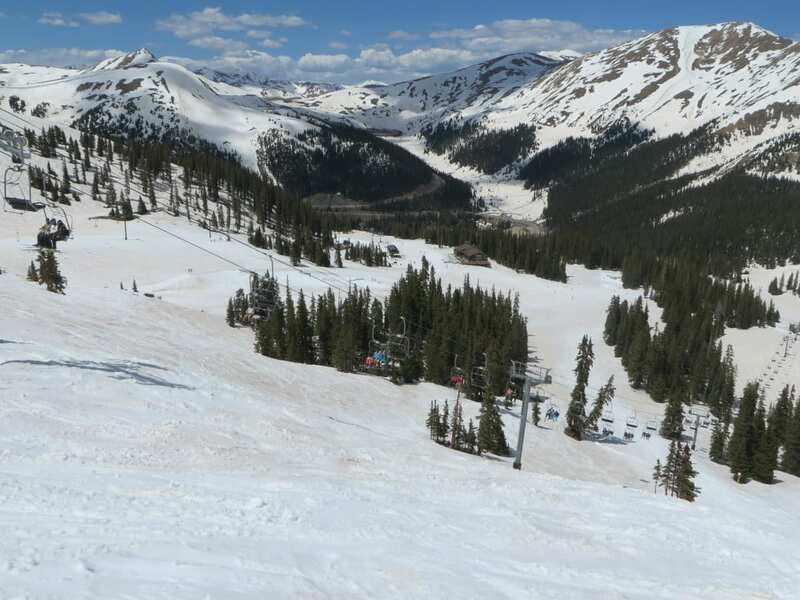 June 1, 2014 – It’s June and A Basin’s still going strong! The mountain still has good coverage and Montezuma Bowl was even open (today was last day). The skiing is spring time fresh, with soft, easy to navigate snow. 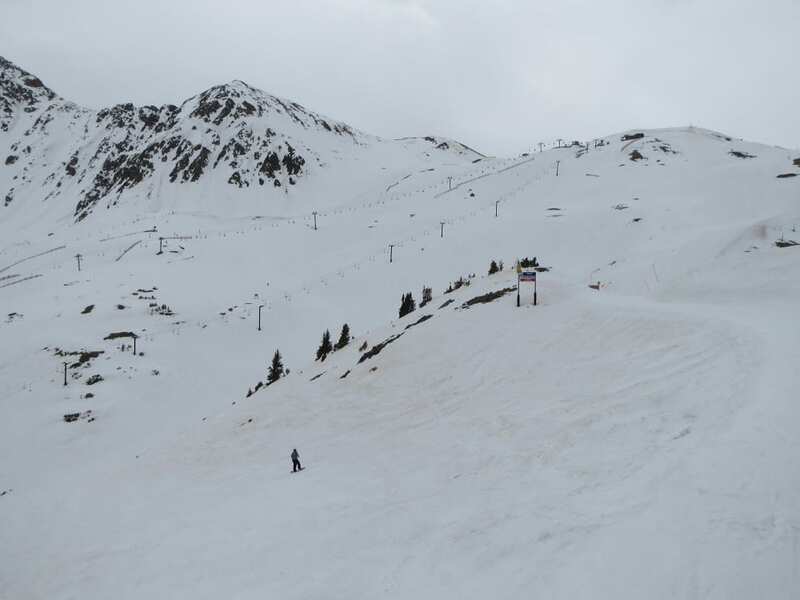 Arapahoe Basin is now closed during the week, but they reopen for three more weekends during June, with further season extensions depend on the conditions. Creek rushing by the "Beach". 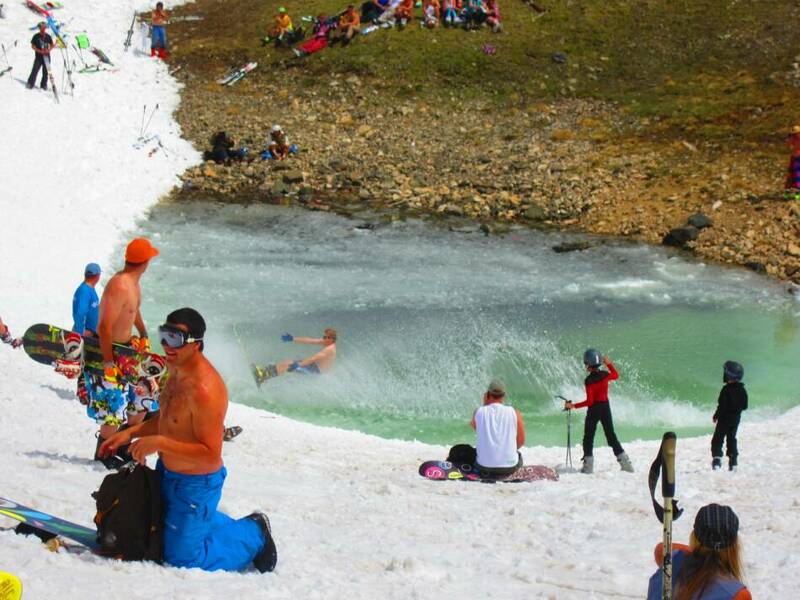 Best spots at the Beach are slope side. Half way up the mountain. 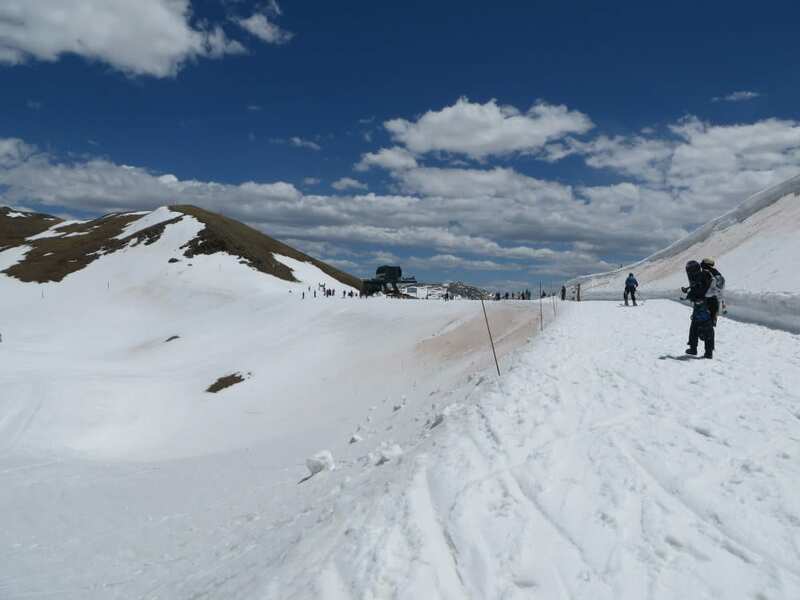 Walking over to Montezuma Bowl. Bumpy run down the face. Ten Mile Range in distance. 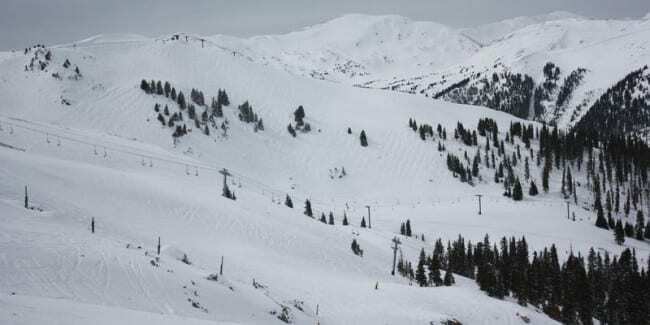 Second run down Montezuma Bowl. This one's a fast cruiser. Heading back over to the front side. Sundance, High Noon and Ramrod. 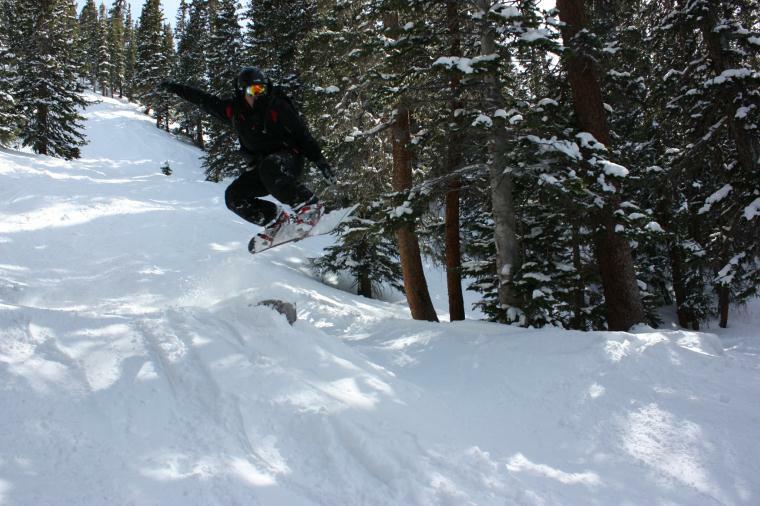 Treeline Terrain Park is still open. 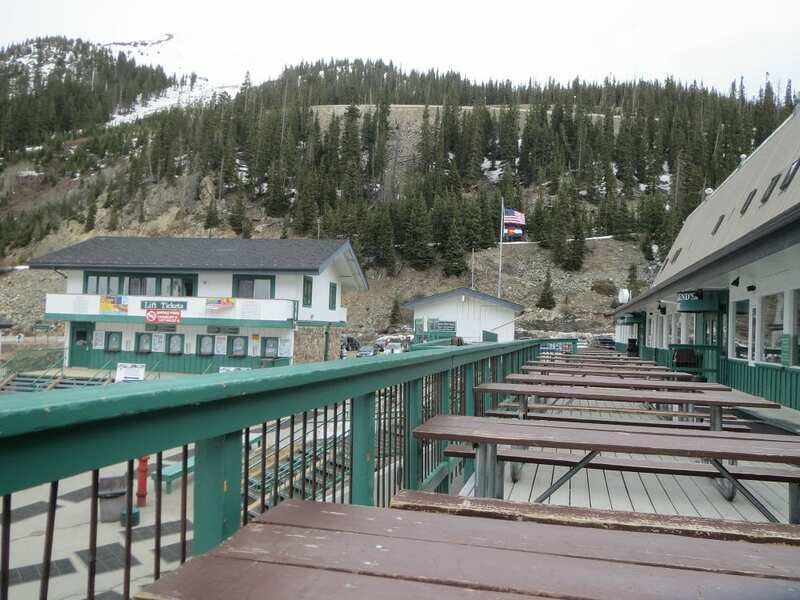 Base Lodge has a new expansion, the sun deck above the 6th Alley Bar. New upstairs seating in the expansion. Scene from the sun deck. 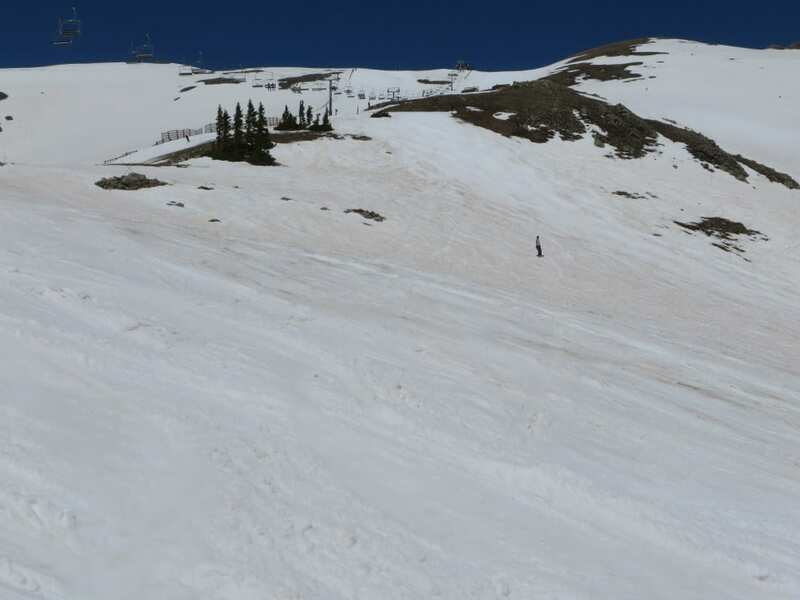 Loveland Pass still has a big base. After ski at the Euro Grill in Georgetown. 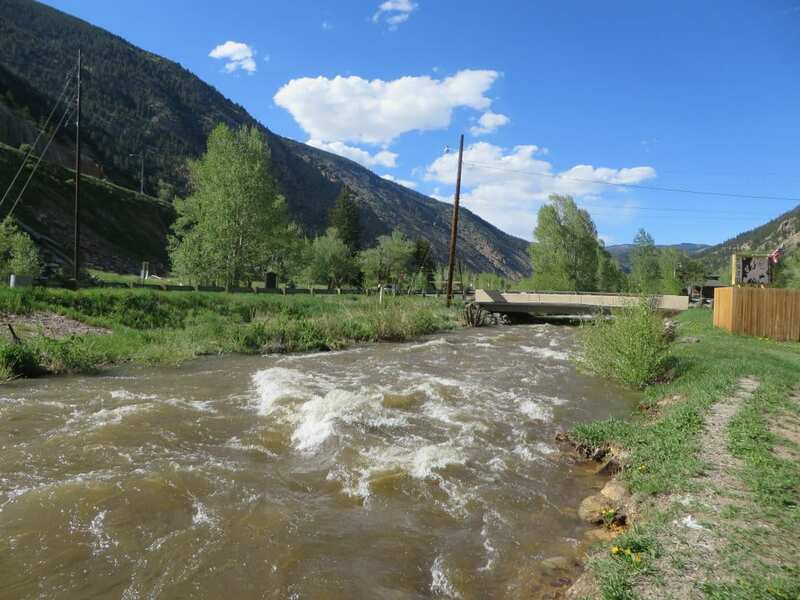 Clear Creek rages beside the patio.